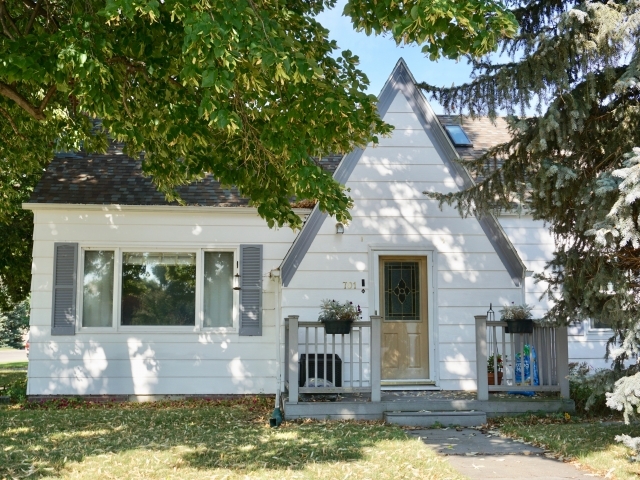 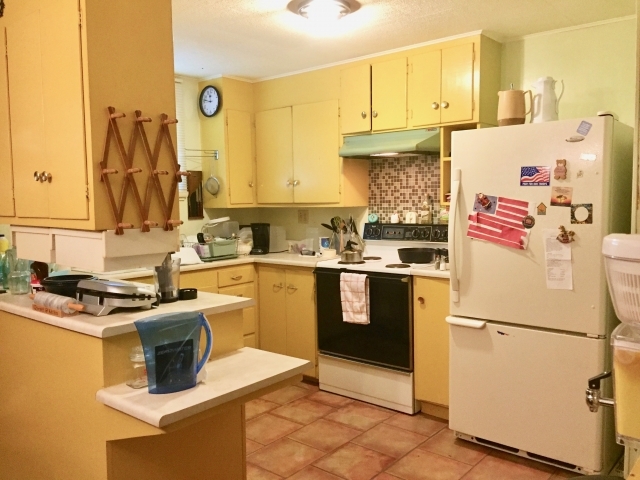 This property has been owned by one family for 60 years and features a one level 1,248sqft home with 3 bedrooms and updated full bath. 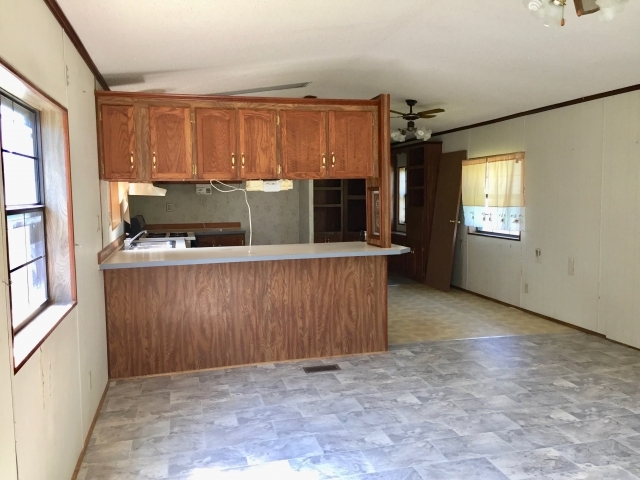 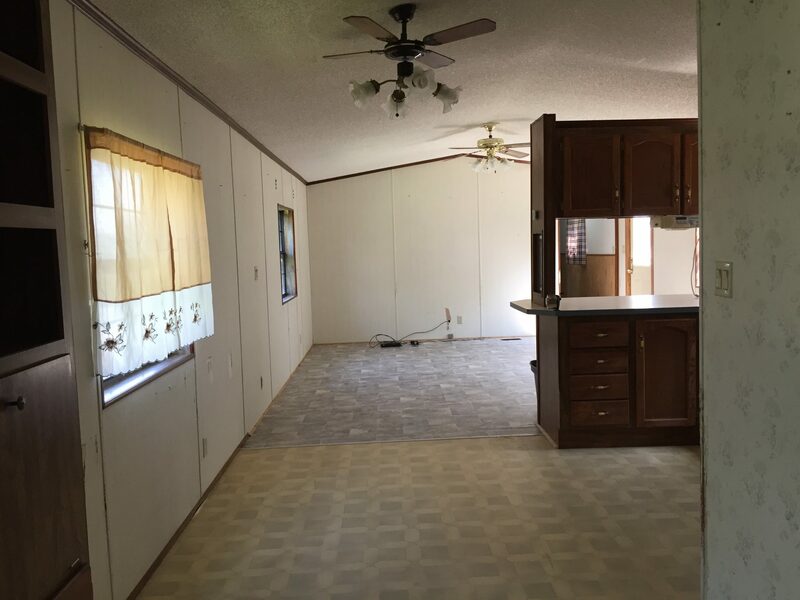 There is a large living area, eat-in kitchen, bonus room with laundry, and back porch. 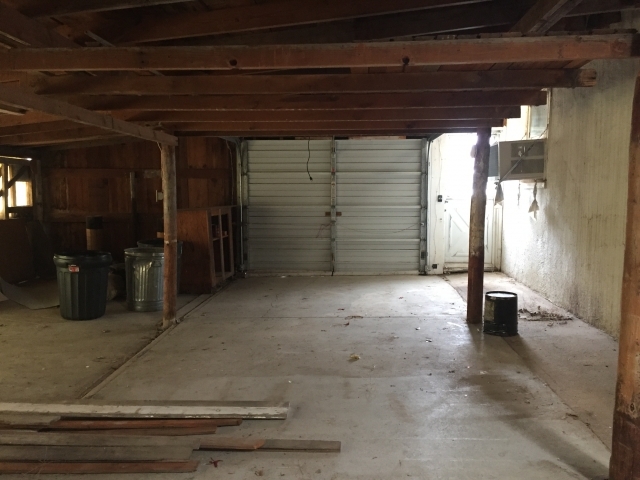 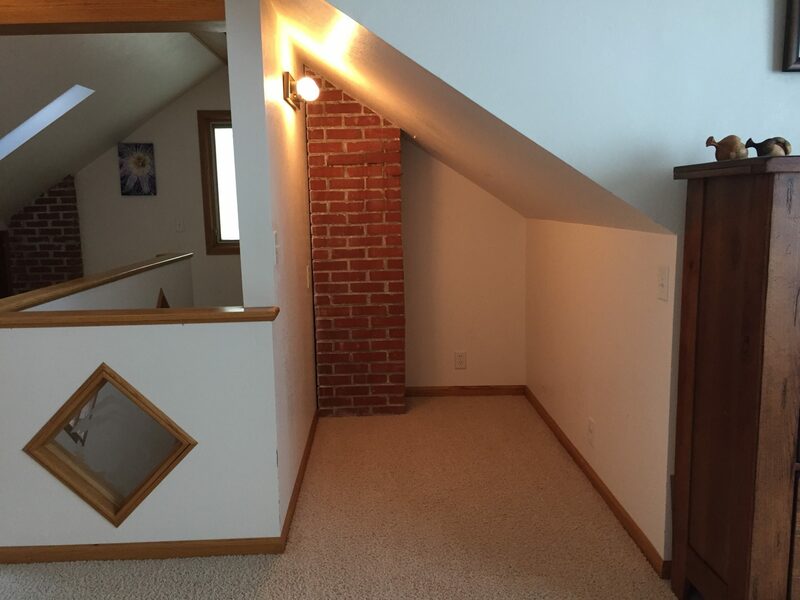 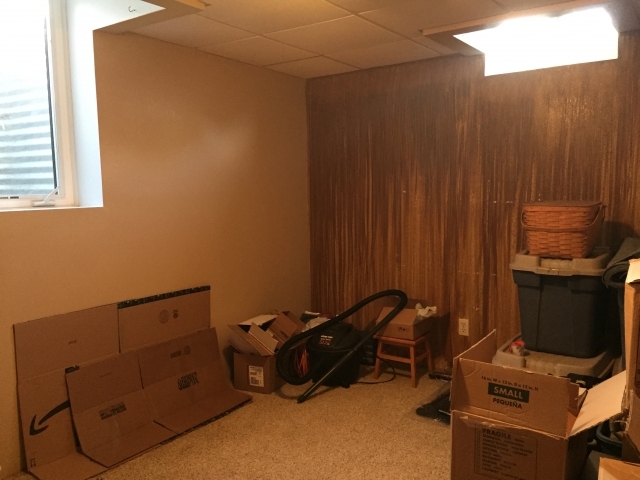 A covered back entry to the attached garage and former detached garage features a workshop and storage area. 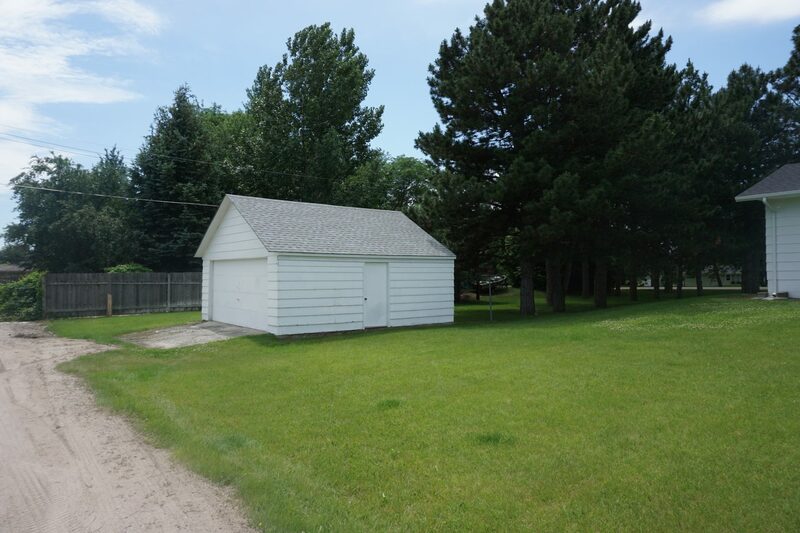 Another detached garage and picnic shelter out back provide additional storage and entertaining space. All situated on a 95’x217’ corner lot and adjacent to a 95’x227’ unimproved lot. 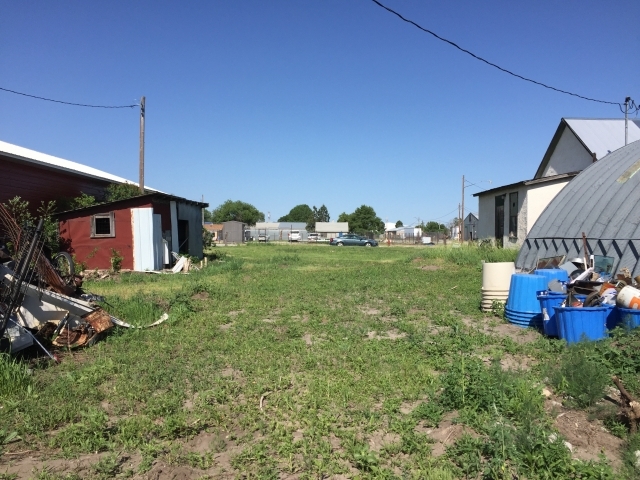 There are unlimited possibilities as a single family residence, rental property, or development with vacant lot. 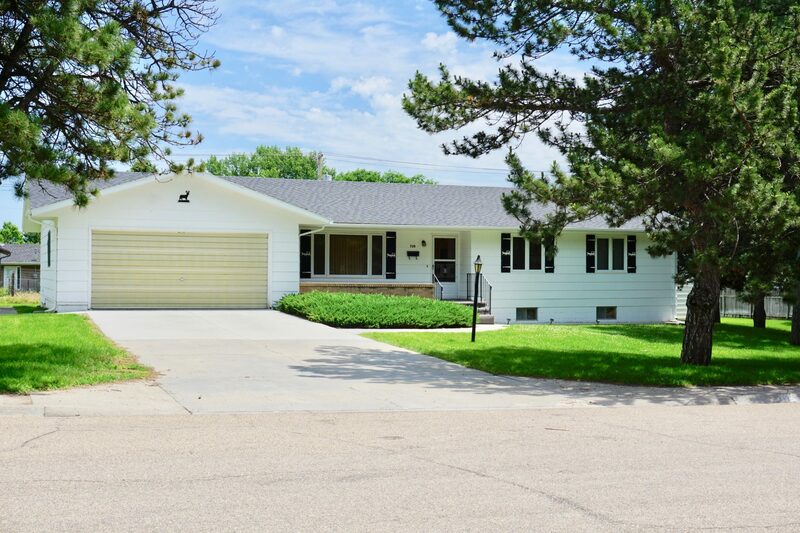 This 1,526 sqft home with 1,064 sqft finished basement features arched doorways, hardwood floors, and is tastefully decorated in neutral colors with white trim throughout. 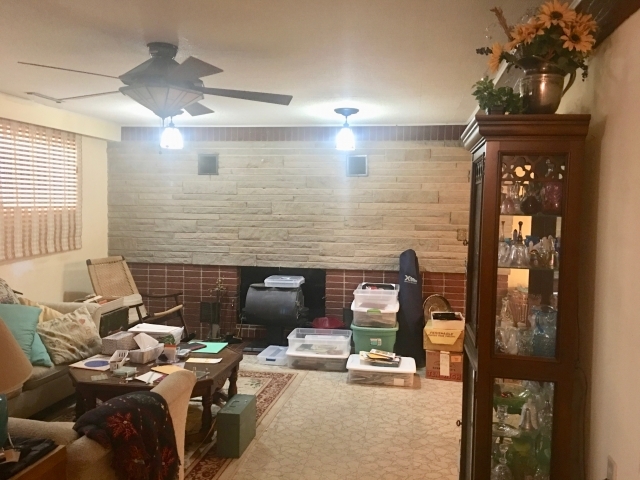 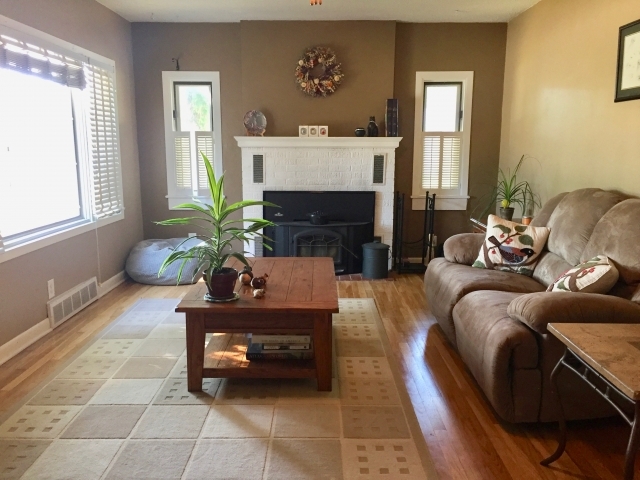 There is a large living room with wood burning fireplace, open kitchen/dining area including appliances, and 2 nice sized bedrooms situated on each side of the full bathroom. 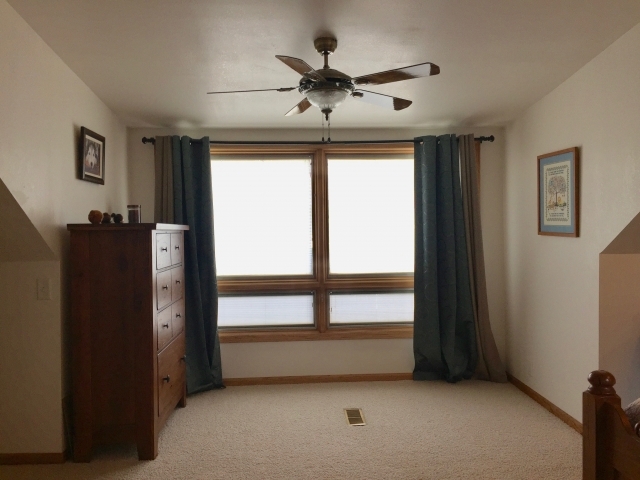 A spacious loft creates additional space currently used as the master bedroom with great storage. 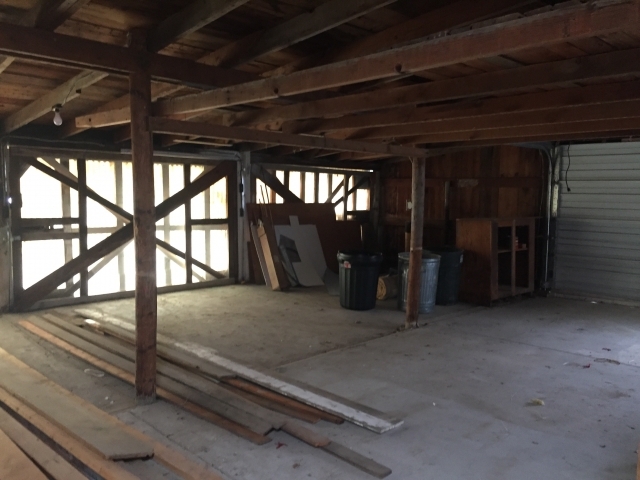 The basement includes a large living area with rustic bar, bedroom with egress window, 3/4 bathroom, and storage room with laundry. 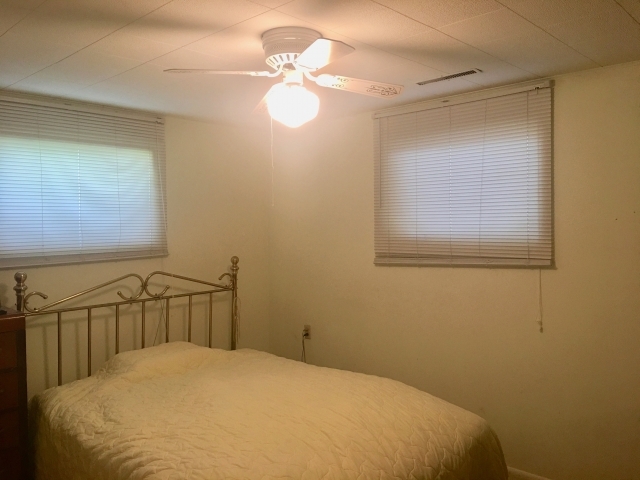 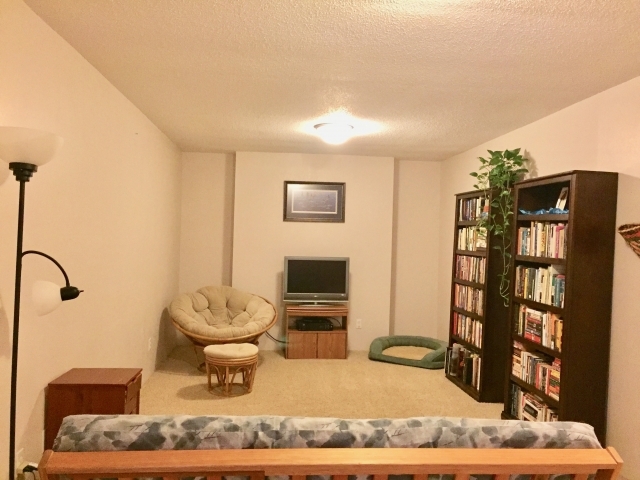 It is located in a great neighborhood on a corner lot with mature trees and underground sprinklers. 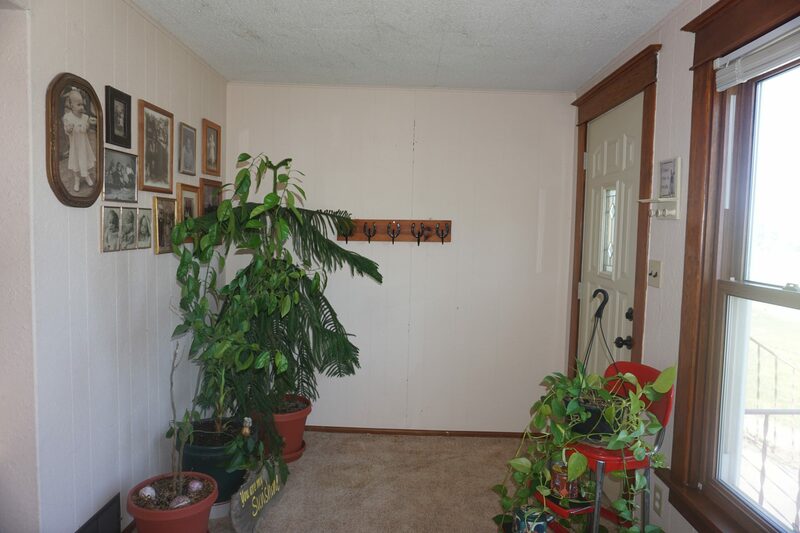 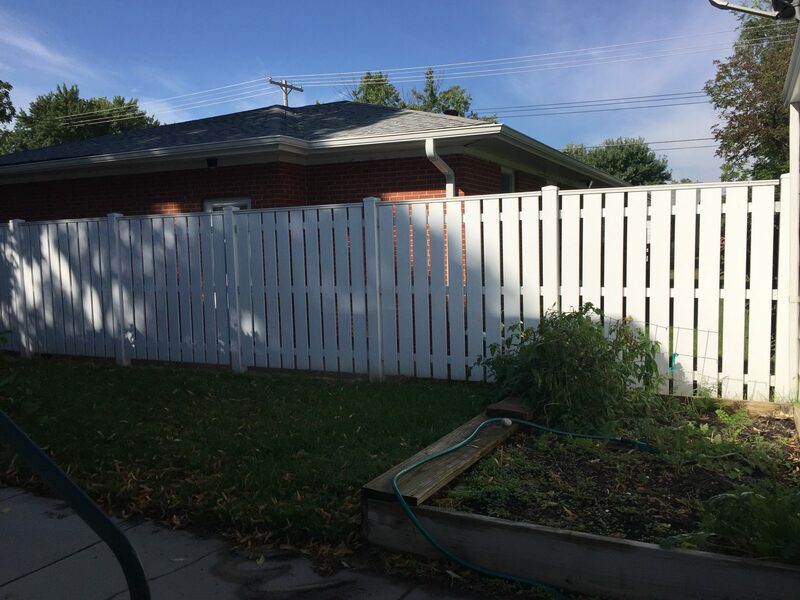 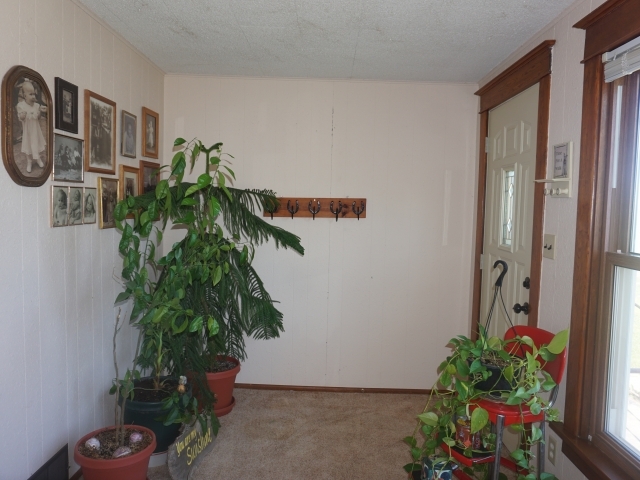 There is a covered back porch, privacy fence, detached garage, large garden, and vacant side yard. 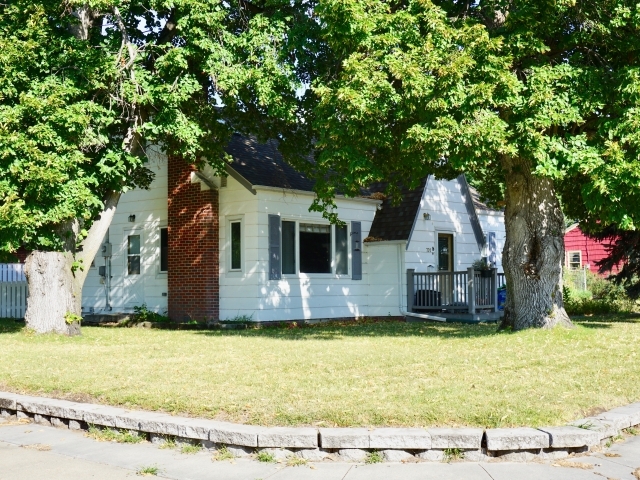 Let your story begin with this charming and move-in ready home! 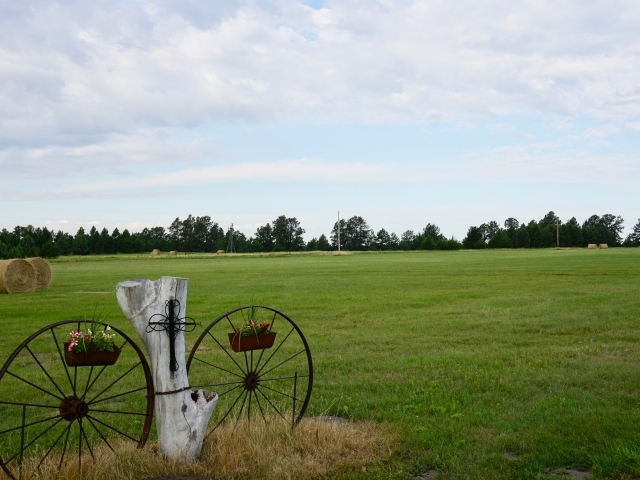 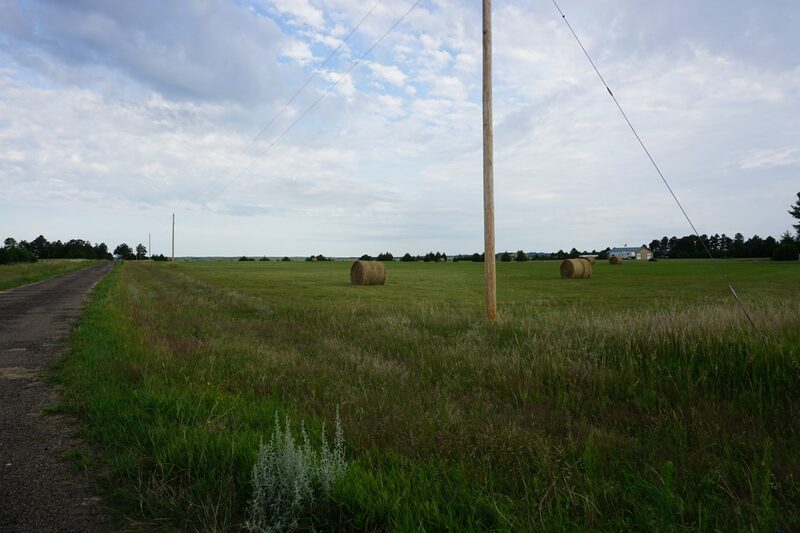 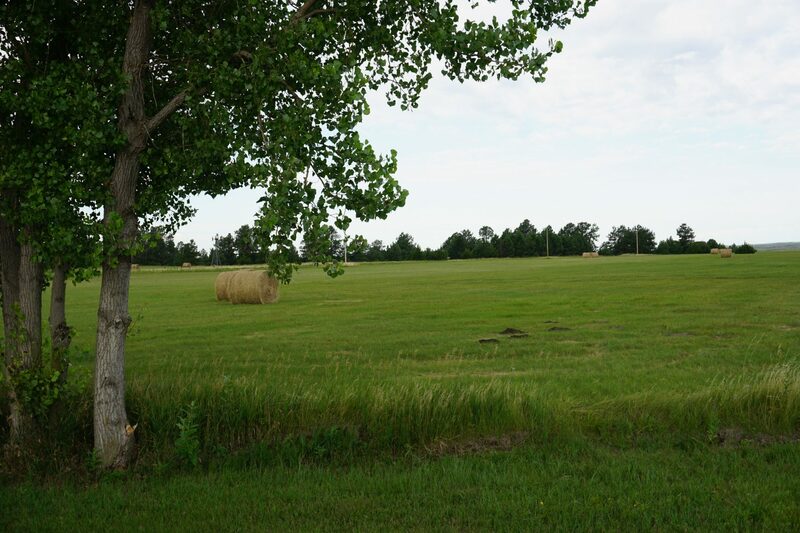 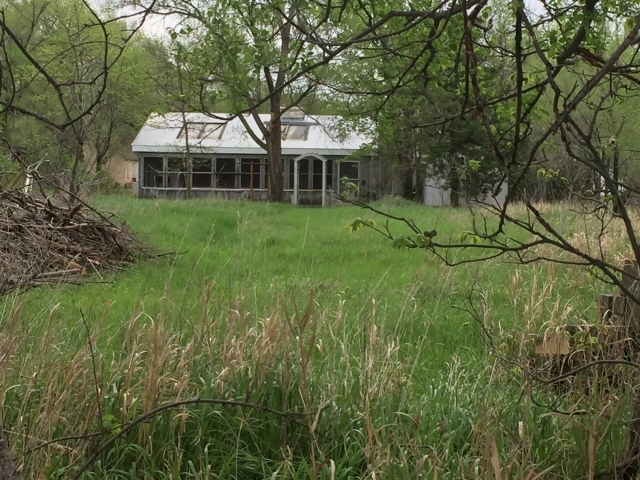 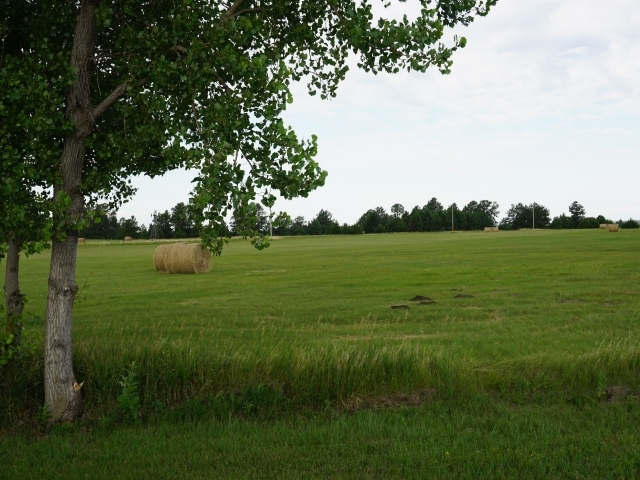 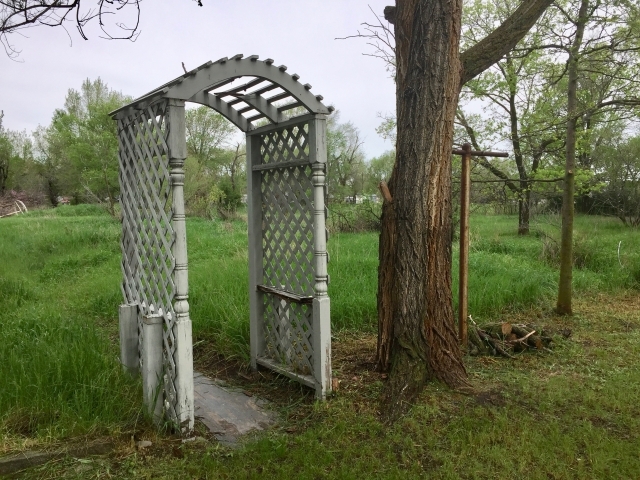 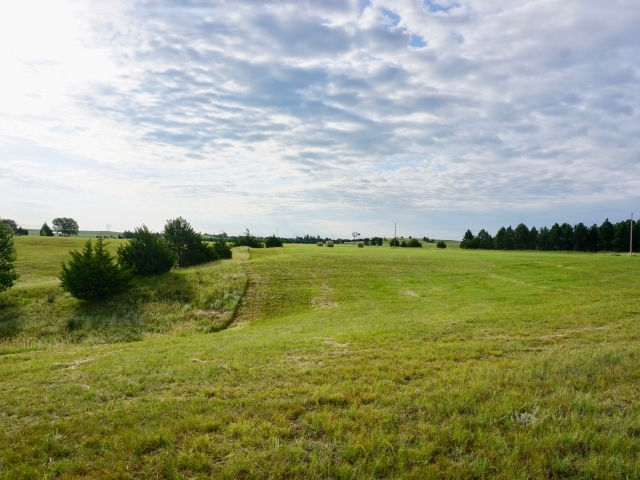 This rare, small acreage near Valentine offers good access, accessibility to power, stunning sights and a prime building location for a new home. 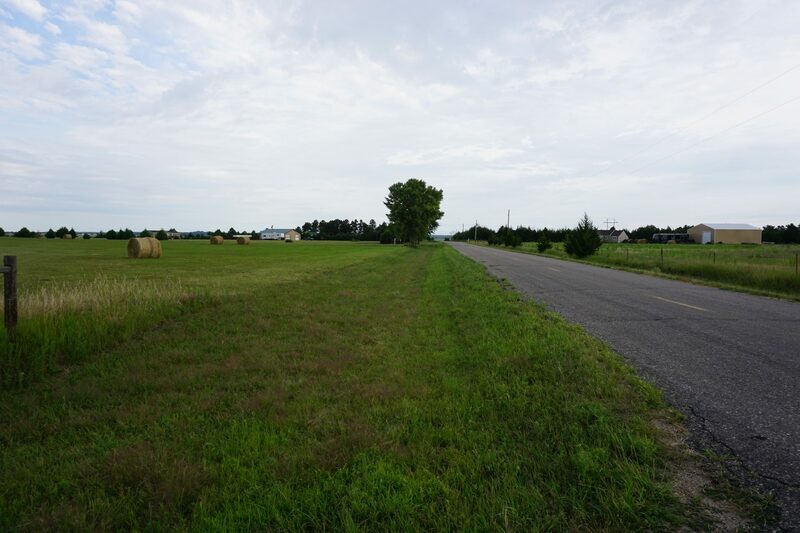 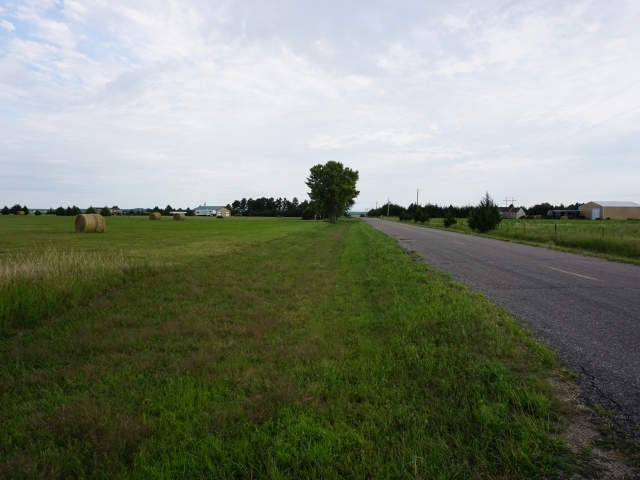 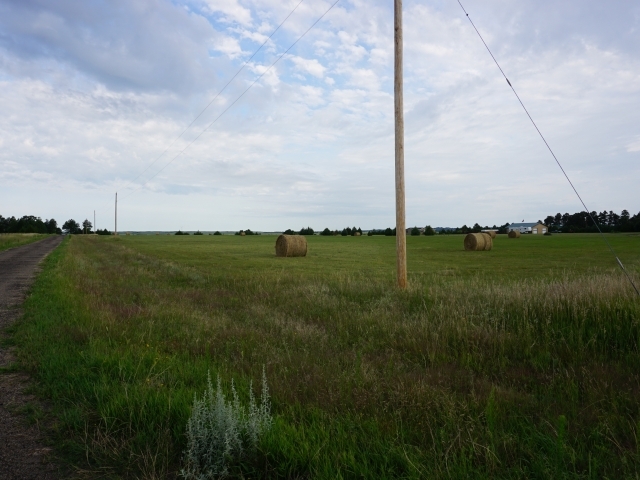 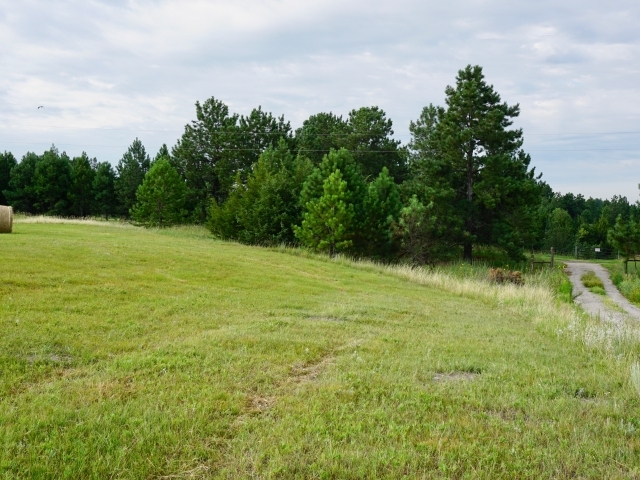 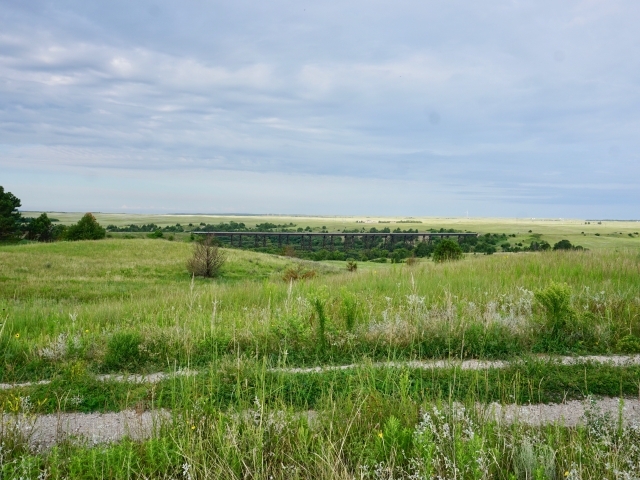 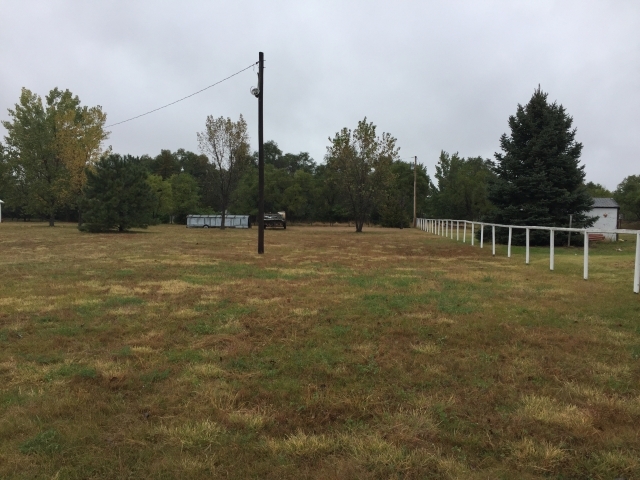 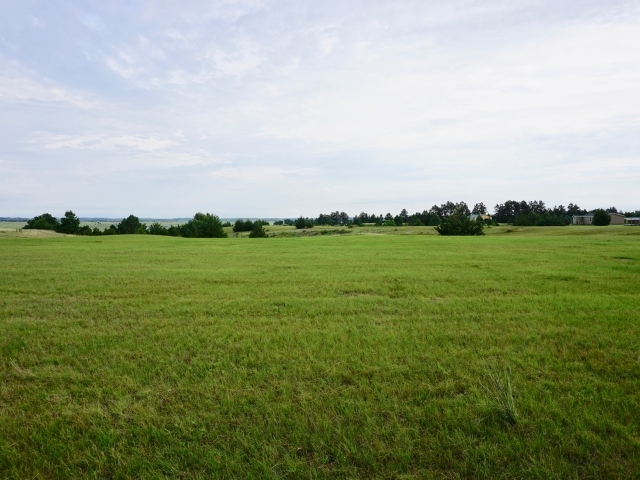 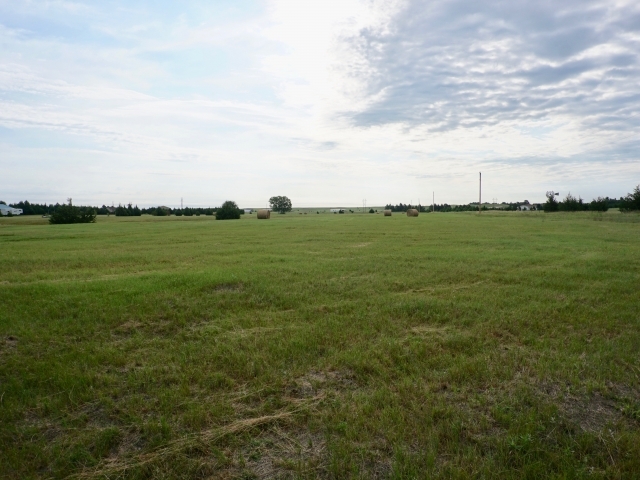 The unimproved 9+/- acres consists of mostly flat grassland with an increase in elevation on the west side of the property. 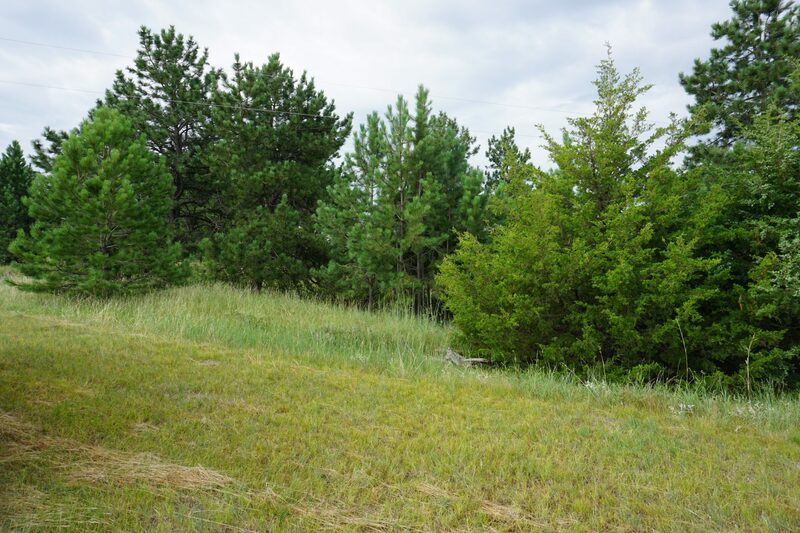 There is a shelter belt on the north and a few cedar and pine trees above the canyon breaks. 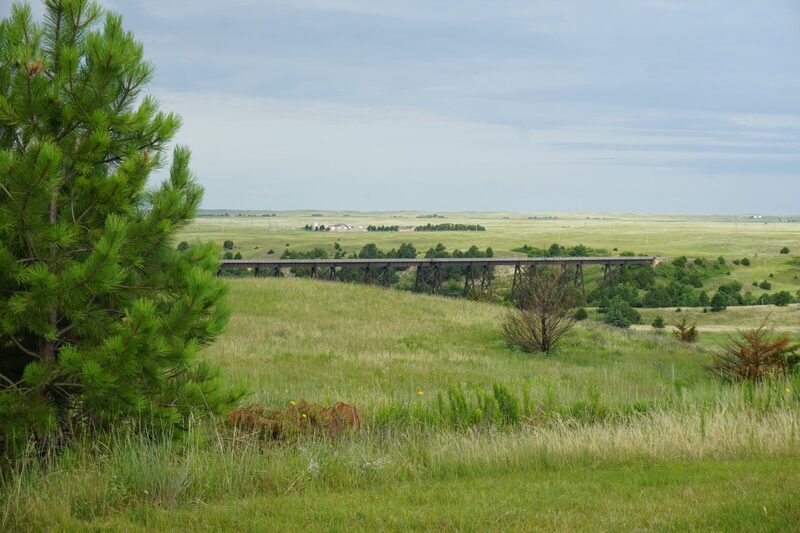 There are spectacular views of the Niobrara River Valley and the old train trestle that crosses the river. 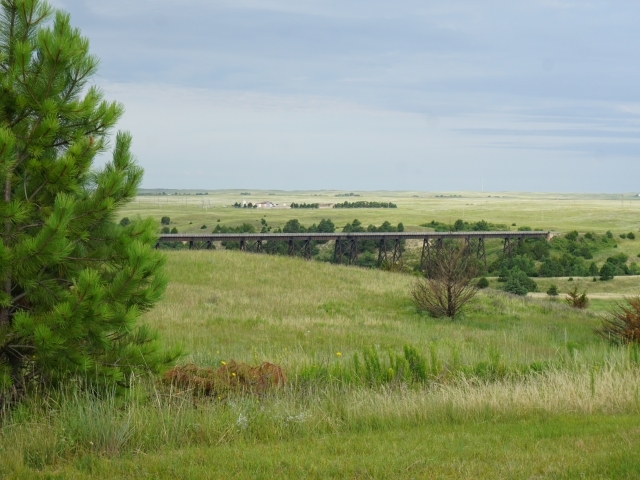 Although the bridge is no longer used by train, the Cowboy Trail utilizes it for recreation. 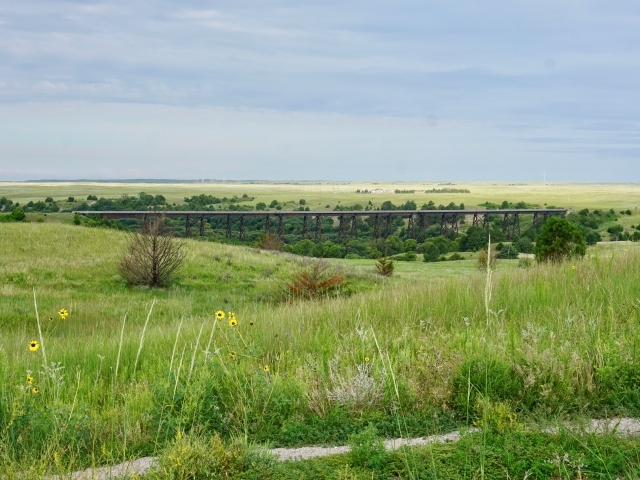 It is a quarter mile long and towers 150 feet above the river. 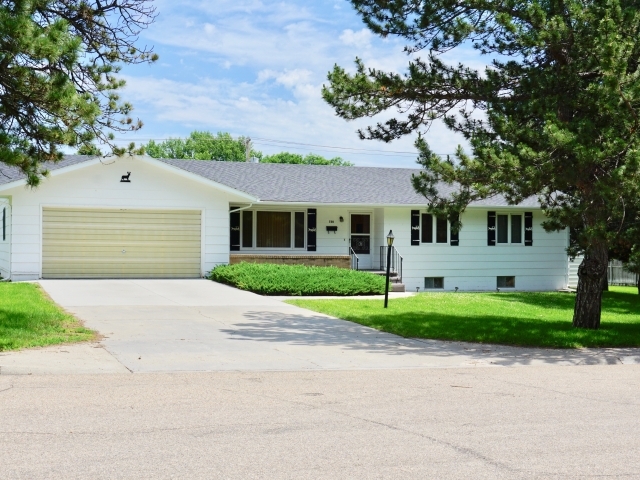 Don’t miss the opportunity on this exceptional property close to town! 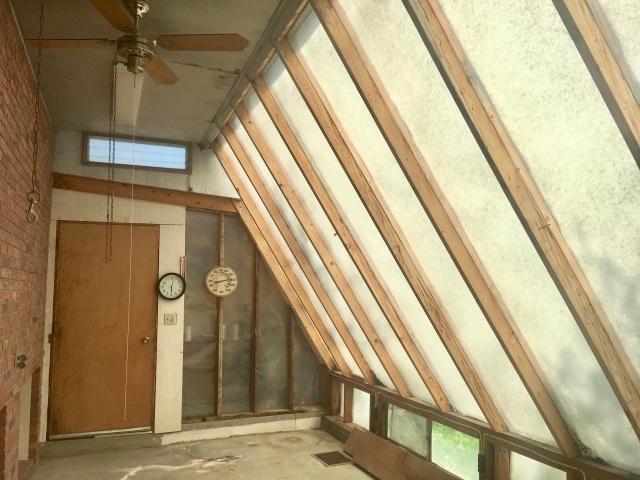 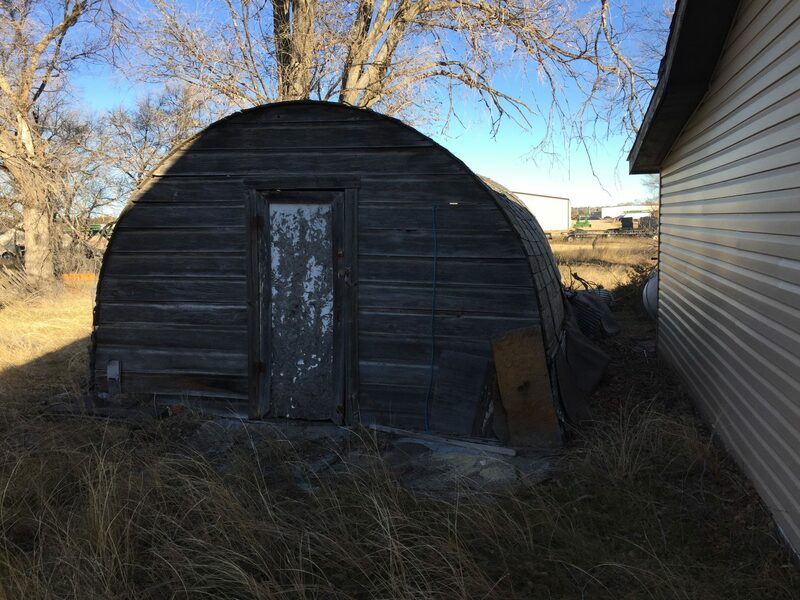 Here’s a reasonably priced property needing some maintenance. 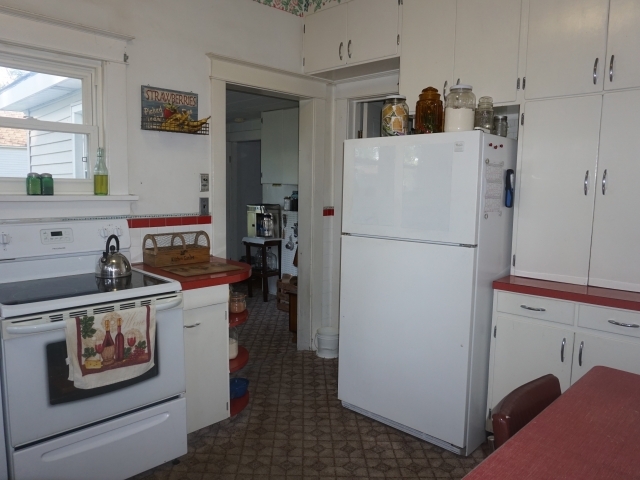 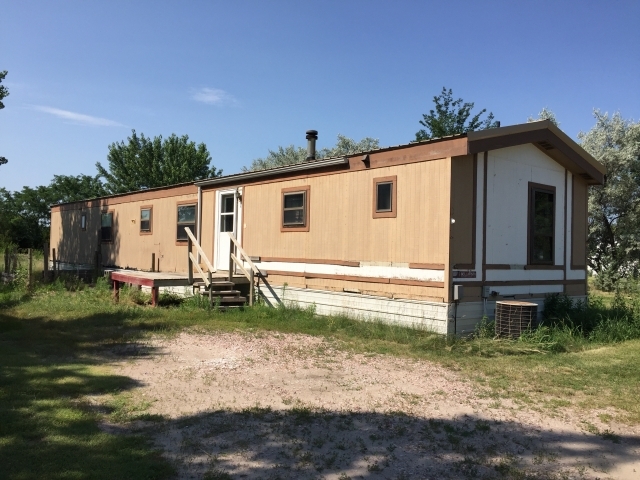 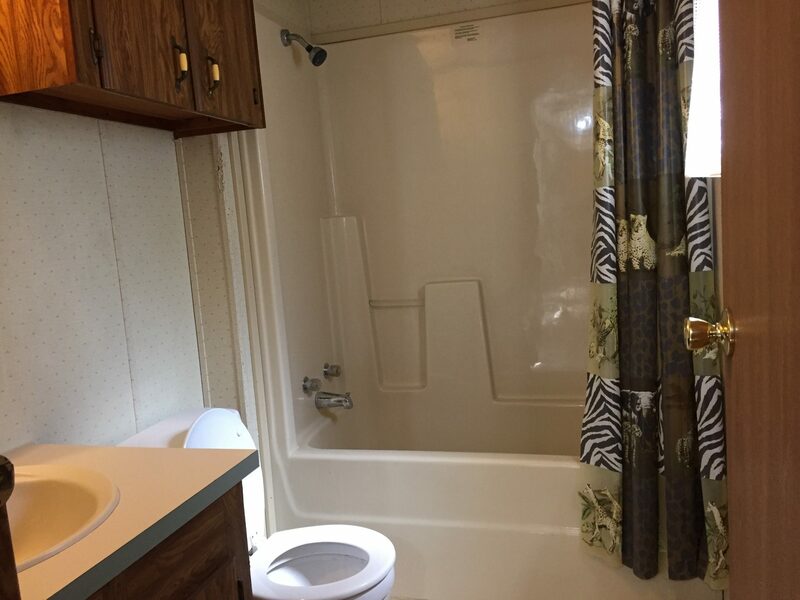 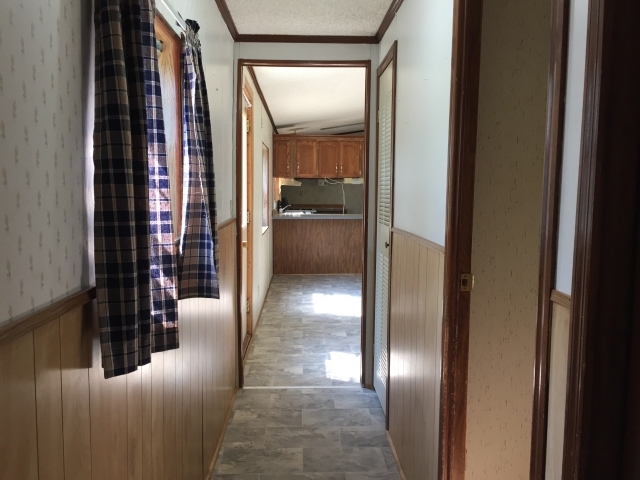 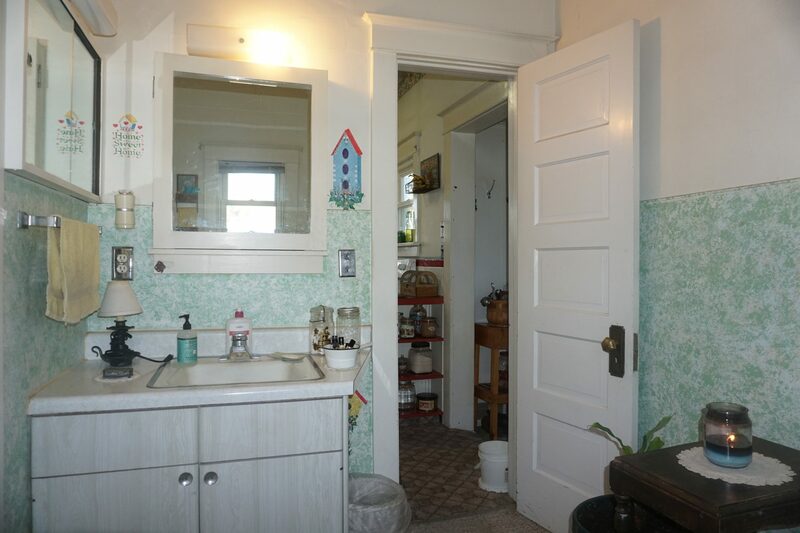 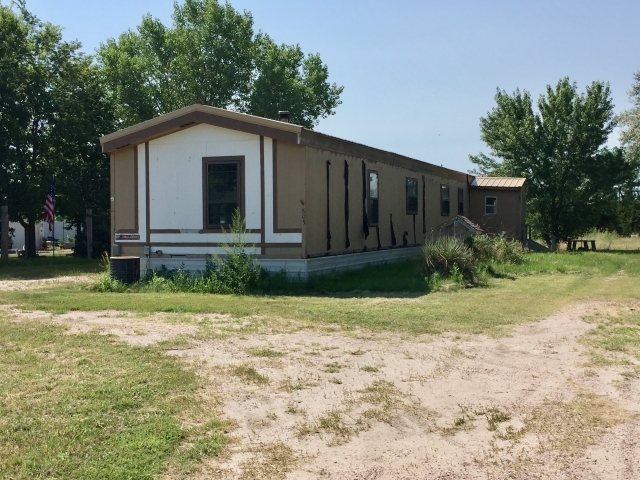 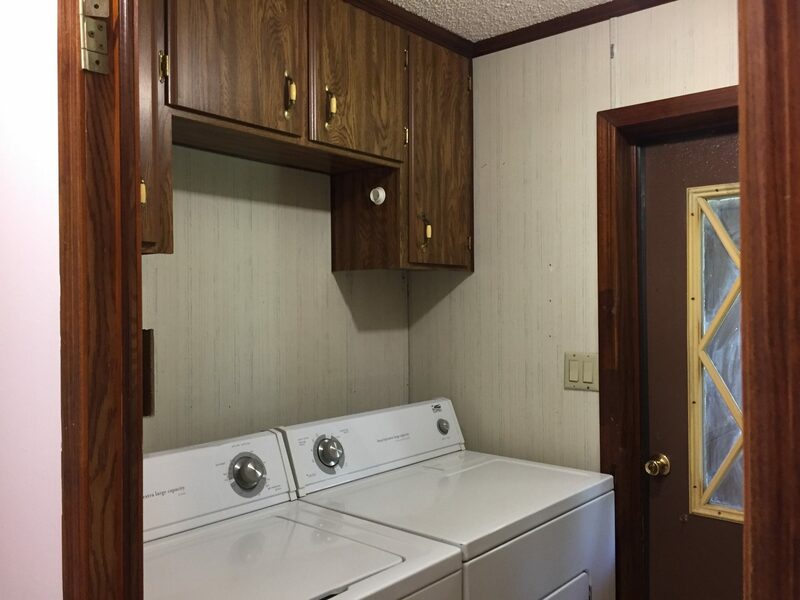 It is a 1989 mobile home situated on a 100’x260’ residential lot. 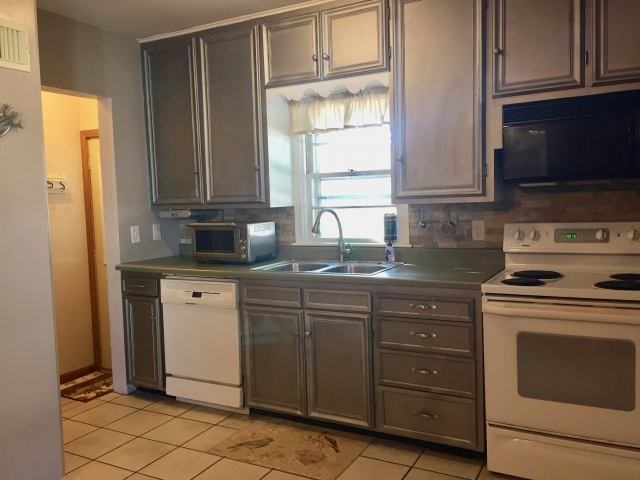 Features 1,216 sq ft with large living room, kitchen/dining area, den/office, 3 bedrooms, 2 full bathrooms, and laundry room. 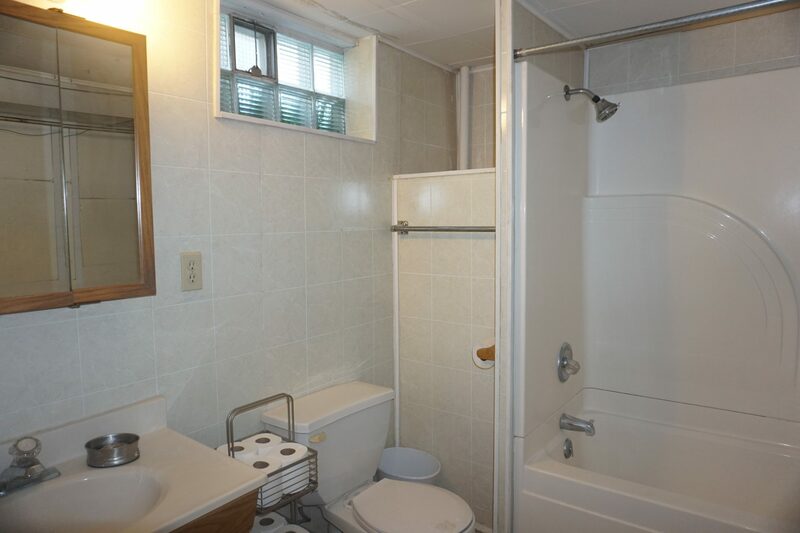 One bedroom is the master with an en suite bath and the other bedrooms share a bath at the opposite end. There is a front deck & back porch just off the laundry room. 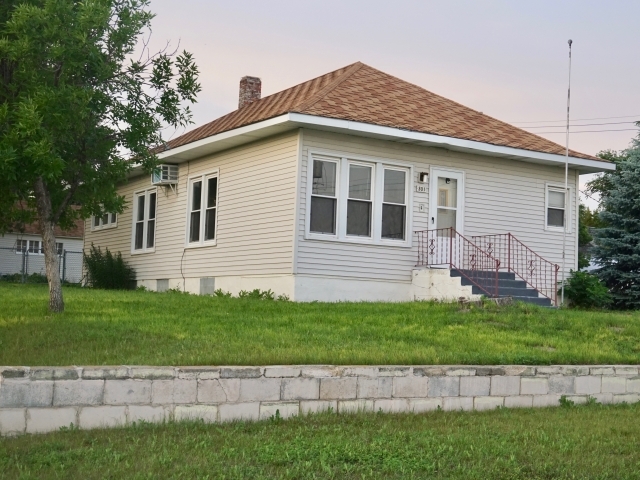 The home offers affordable housing or a possible rental property on an established and oversized lot. 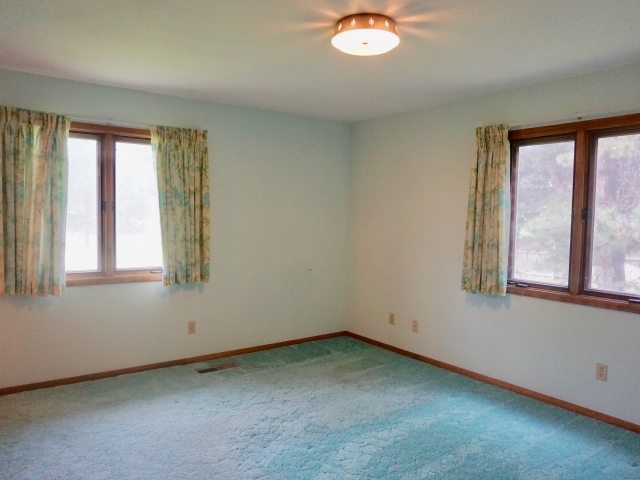 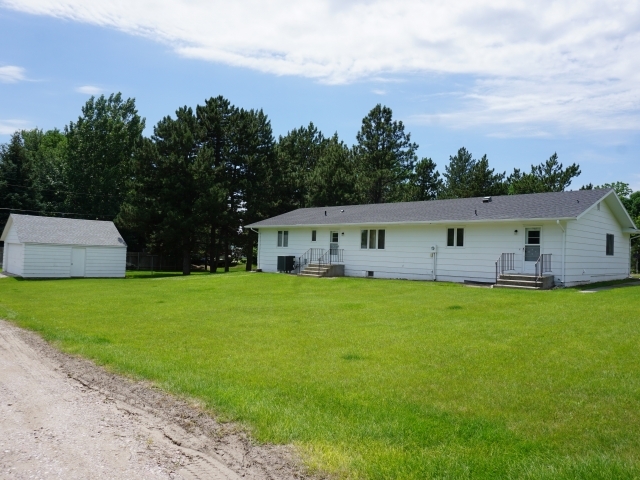 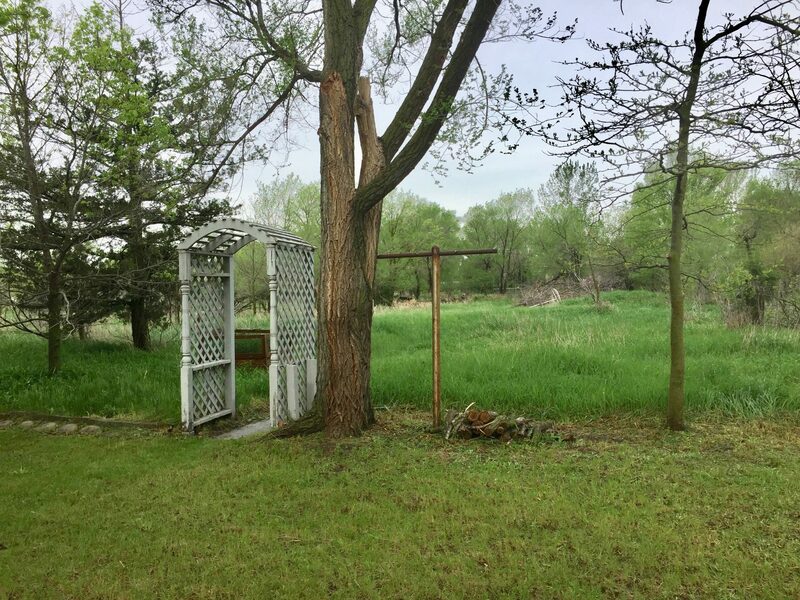 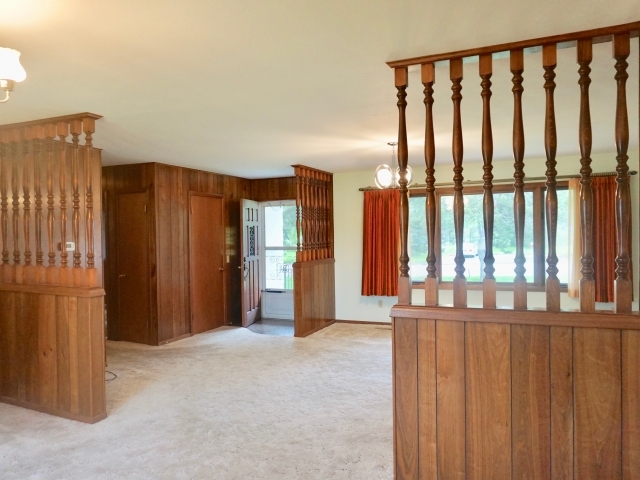 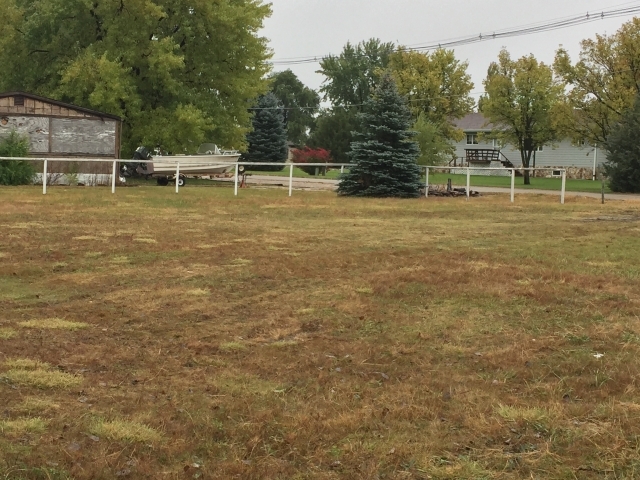 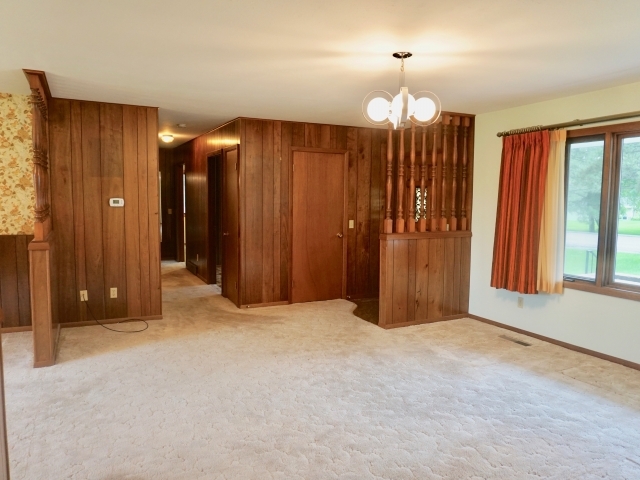 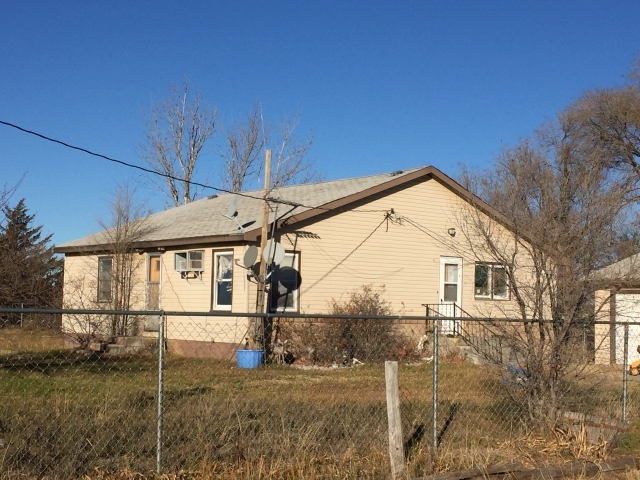 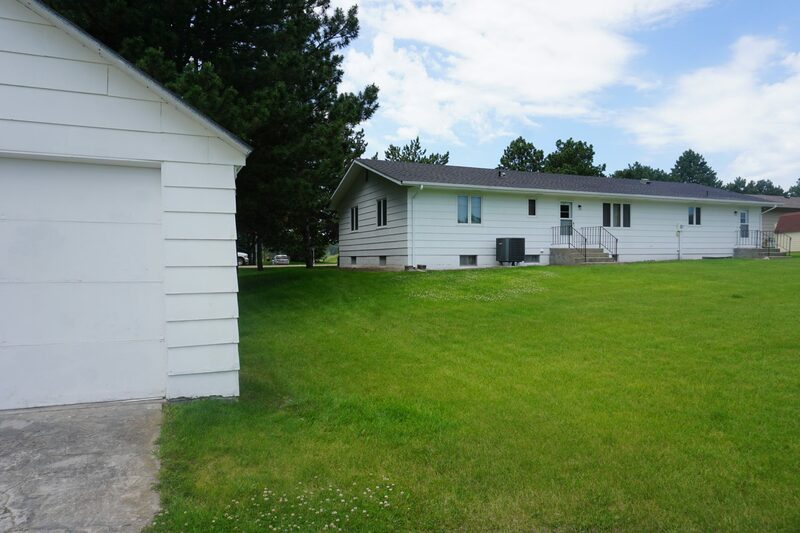 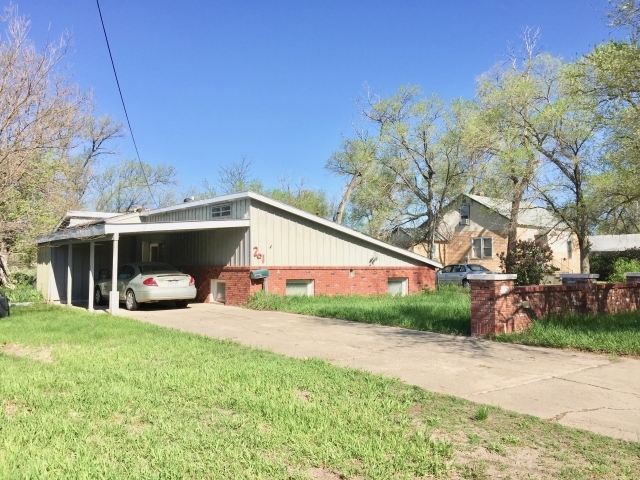 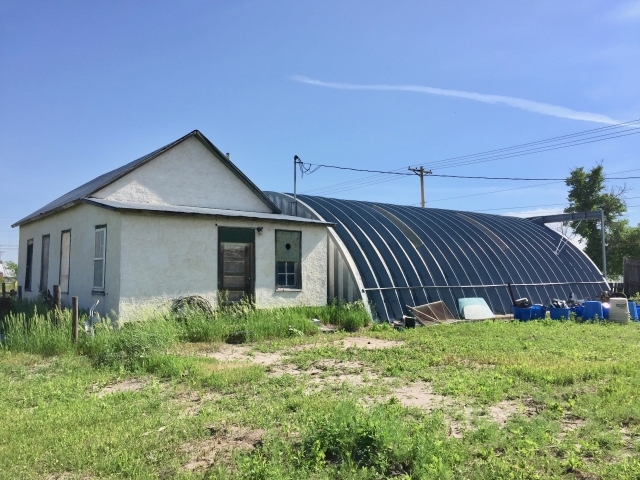 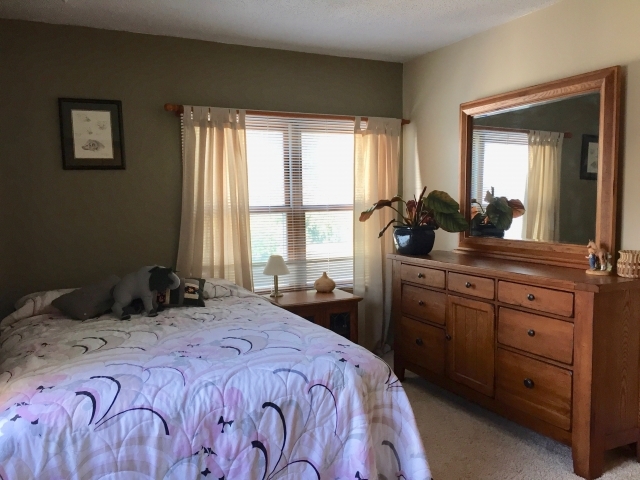 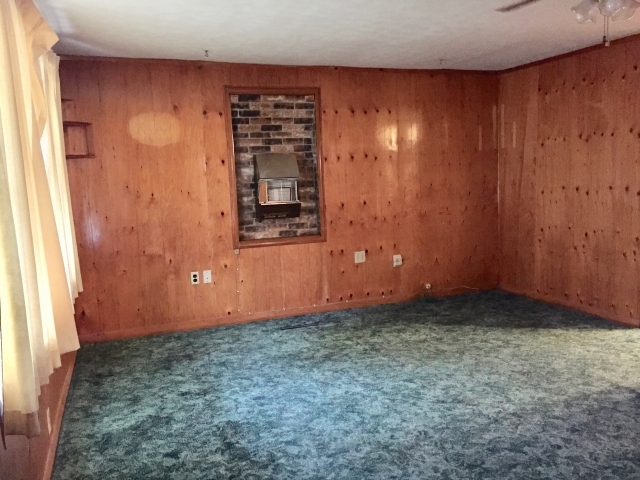 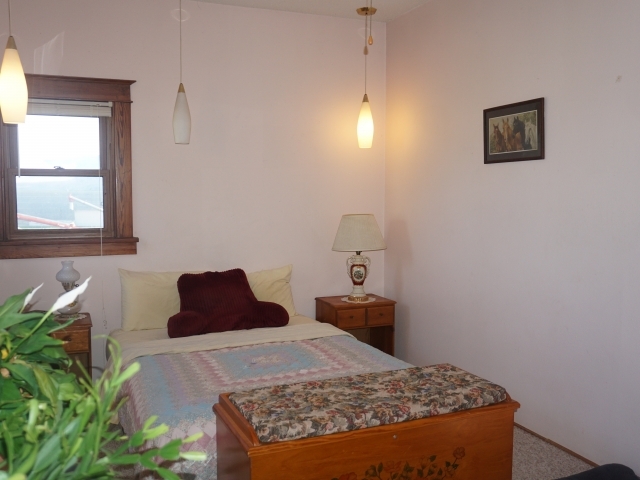 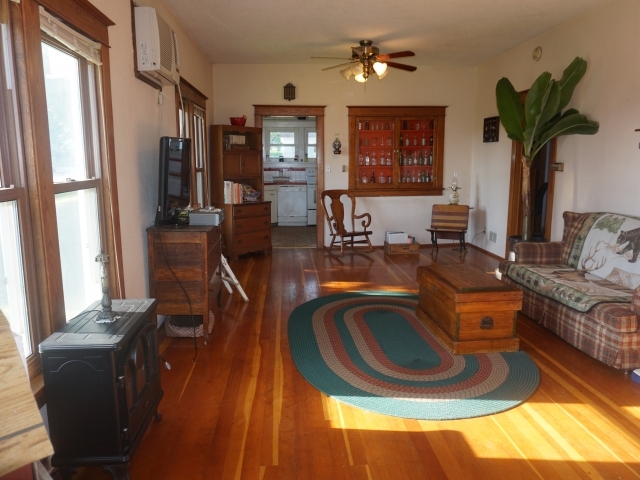 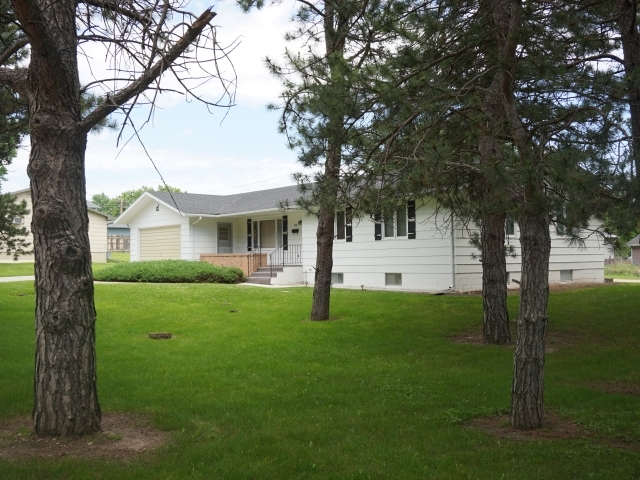 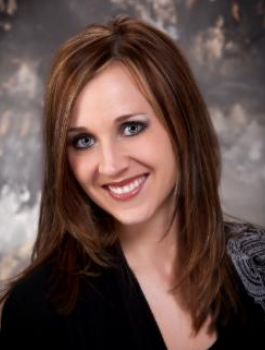 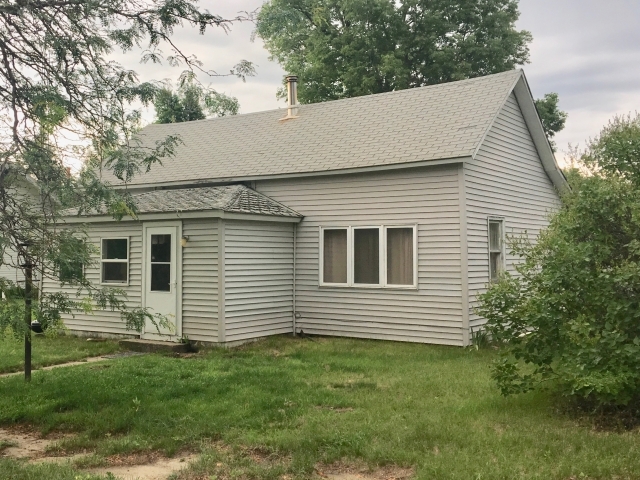 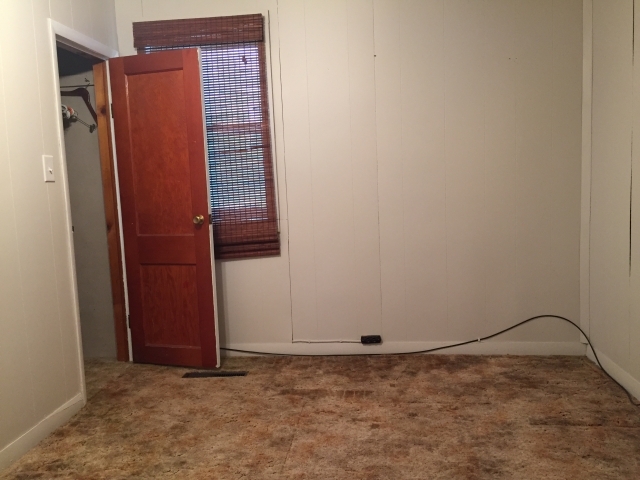 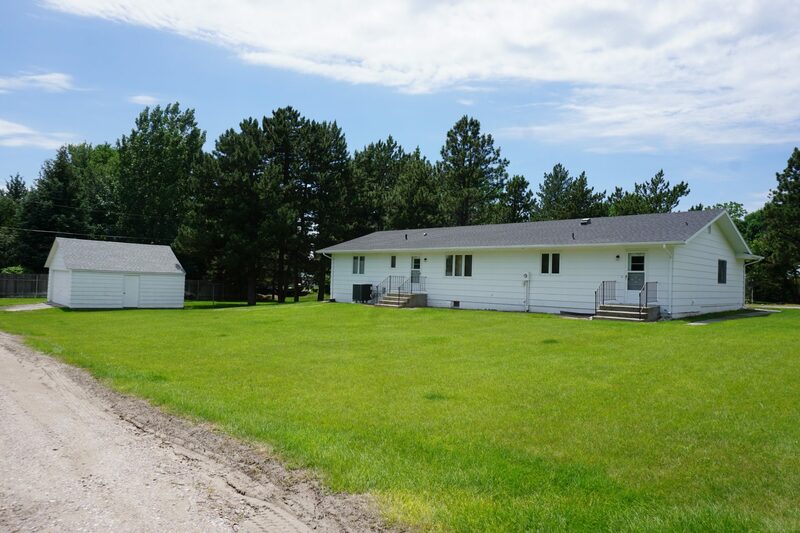 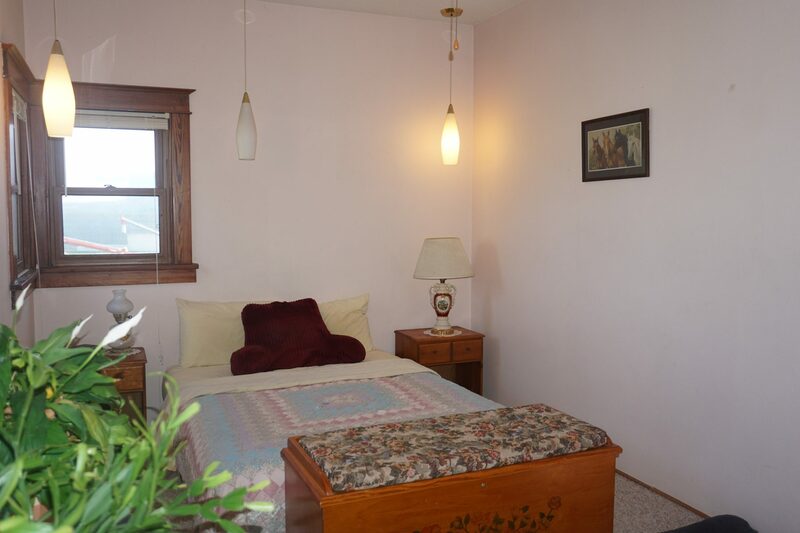 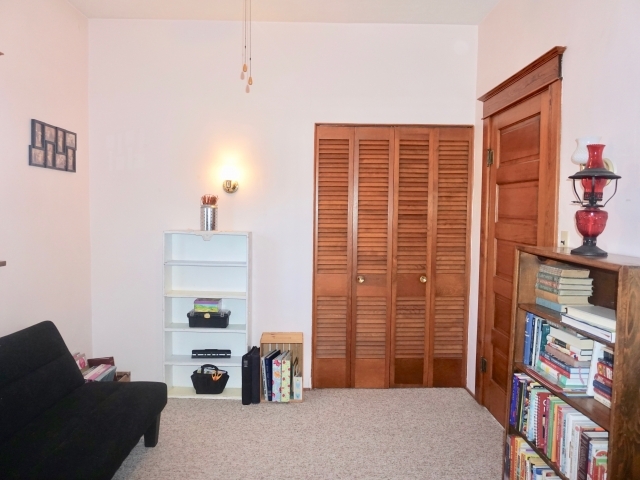 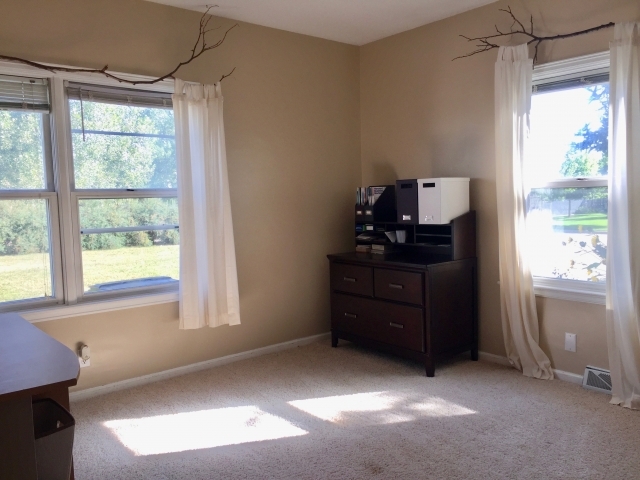 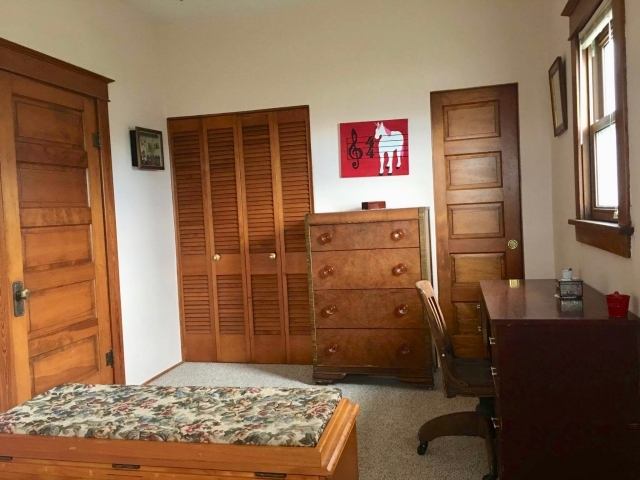 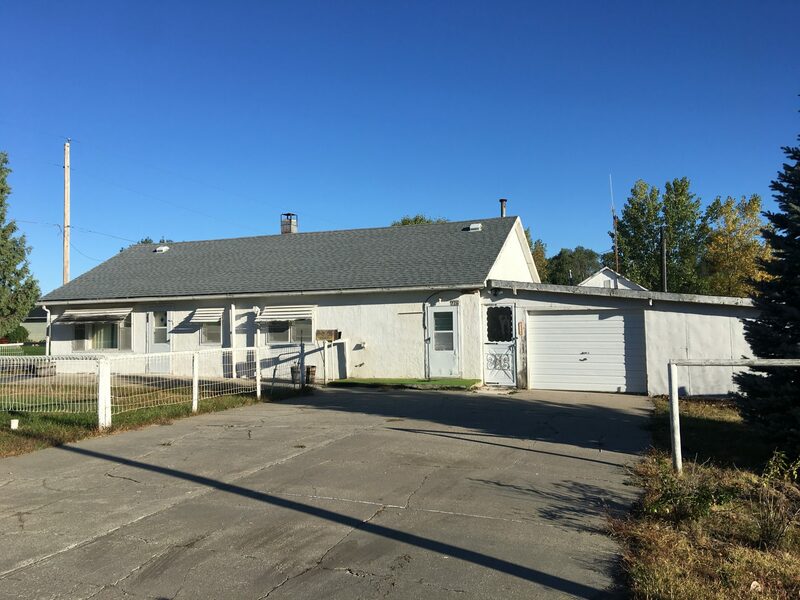 Darling, spacious, and turn-key describe this property located in Crookston! 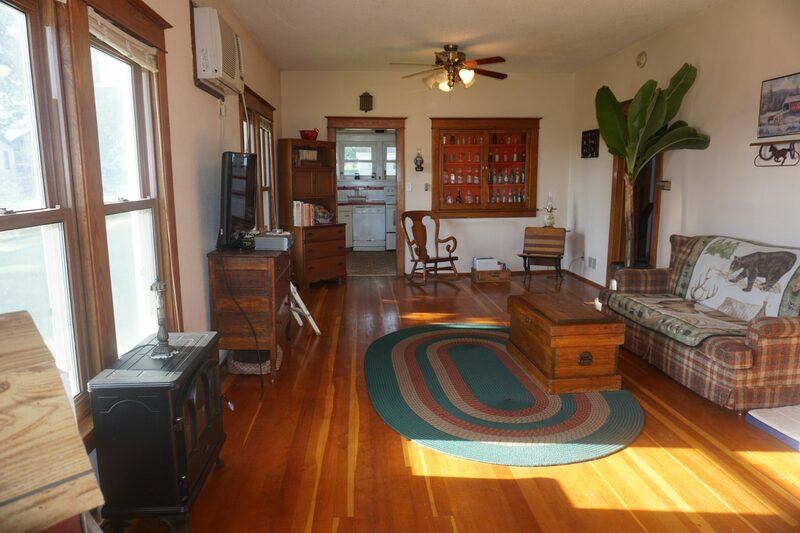 The home is characterized by original hardwood floors, woodwork, and doors with aged brass hardware. 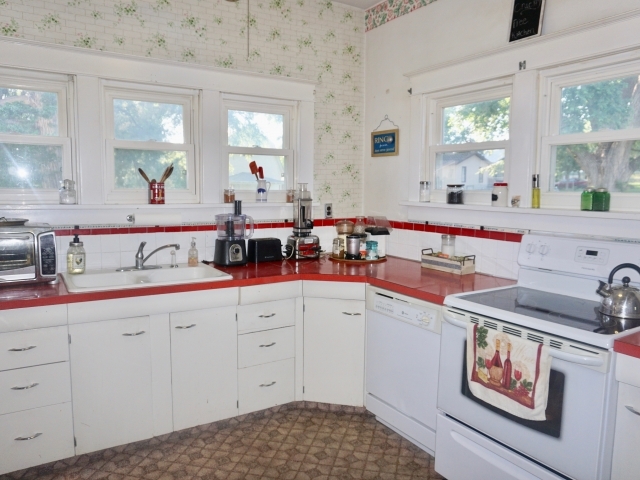 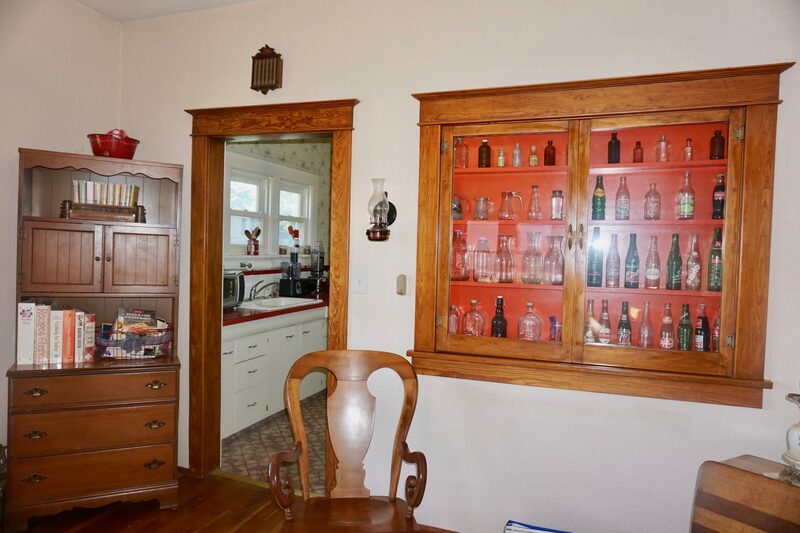 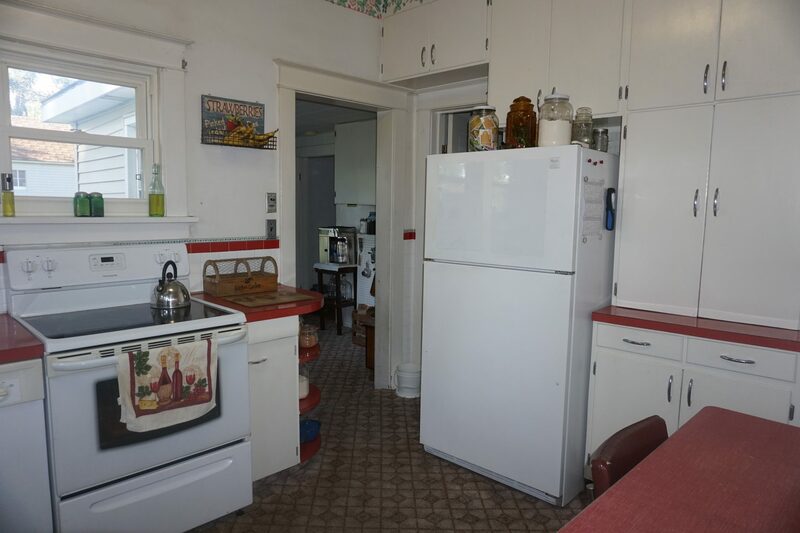 Features a vintage eat-in kitchen including appliances, large living/dining area with built-in cabinet, welcoming front porch, back porch with pantry, 2 good-sized bedrooms, and 2 bathrooms. 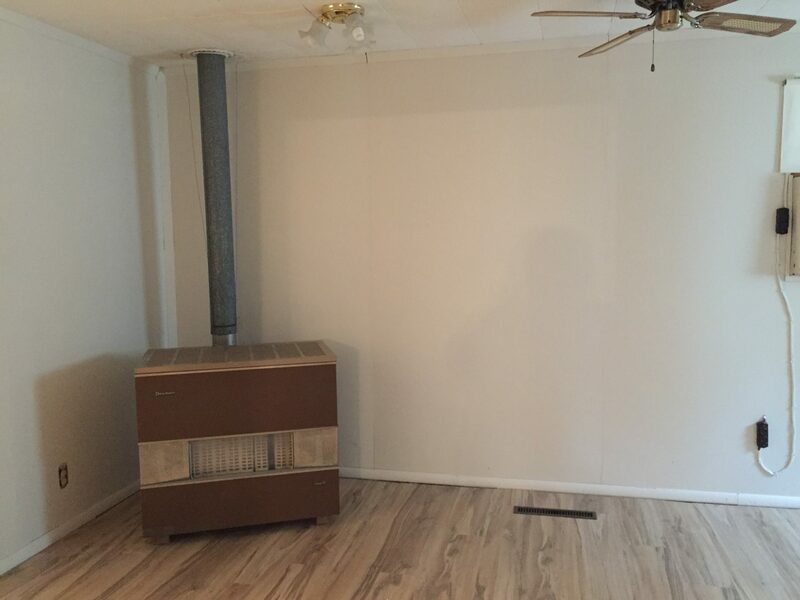 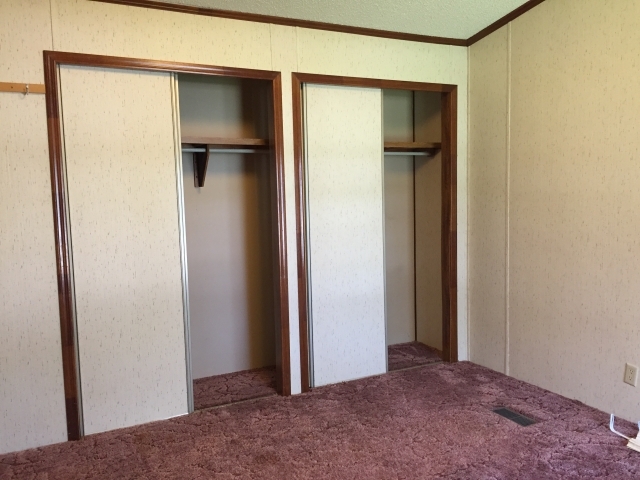 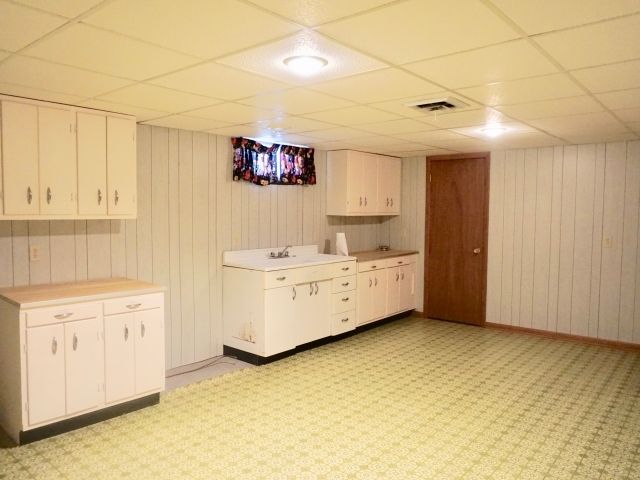 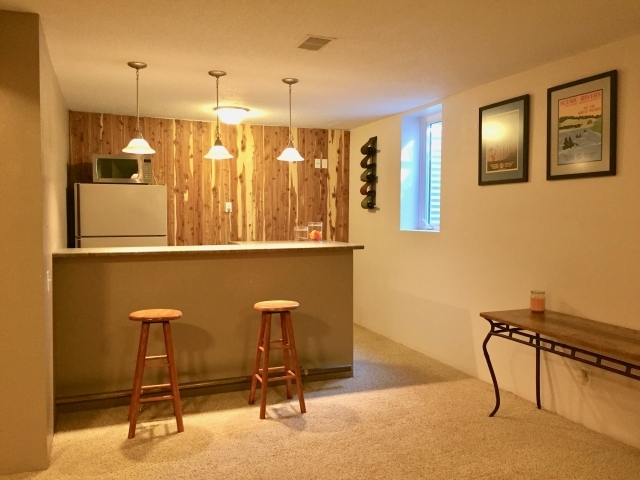 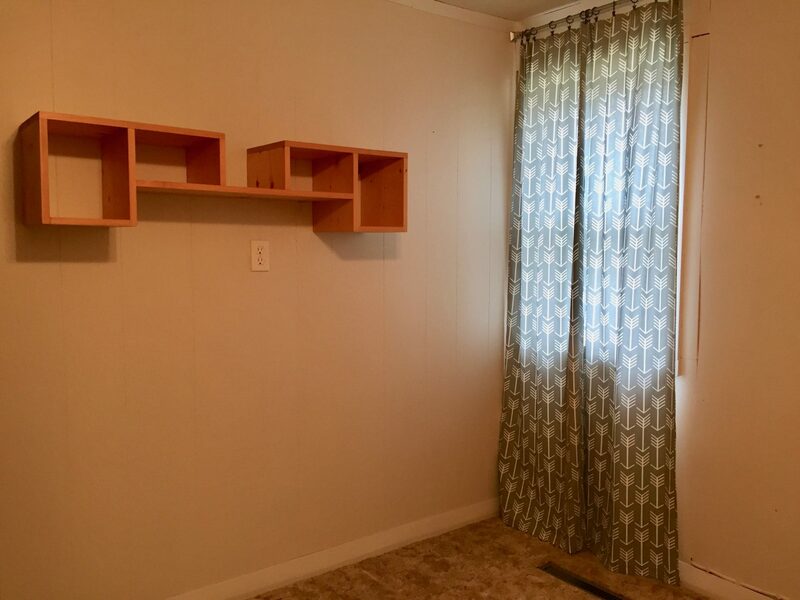 The full basement includes a bathroom, laundry area, and large open area used for living, storage, and mechanicals. Outdoors two corner lots are included with a detached garage, chain link fenced backyard, stationary reclaimed wood box planters, and underground sprinklers. 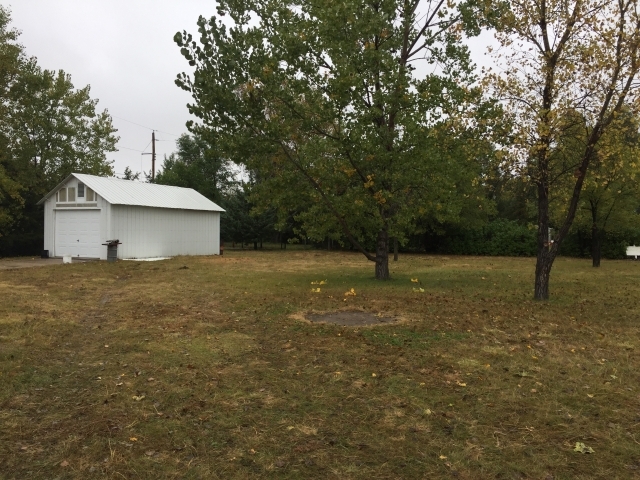 There is a small orchard including various fruit trees and berry bushes as well as a chicken enclosure in the additional fenced lot. 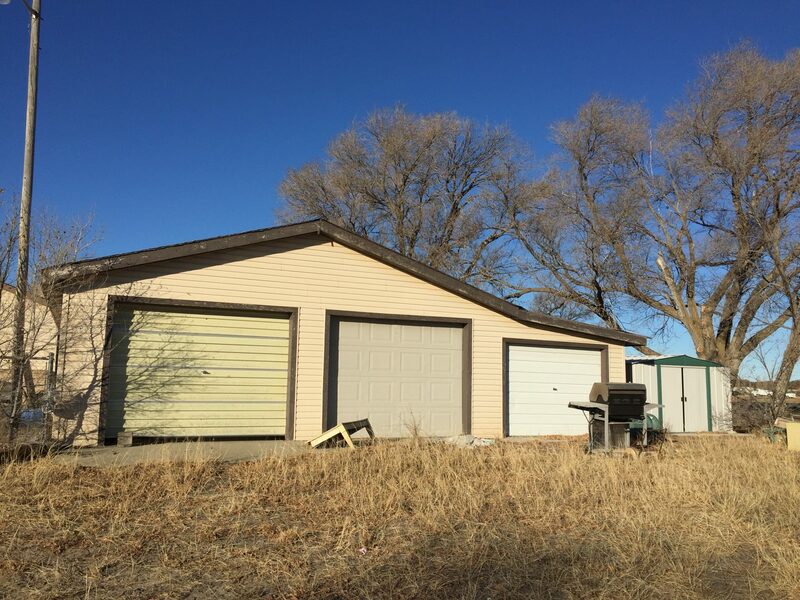 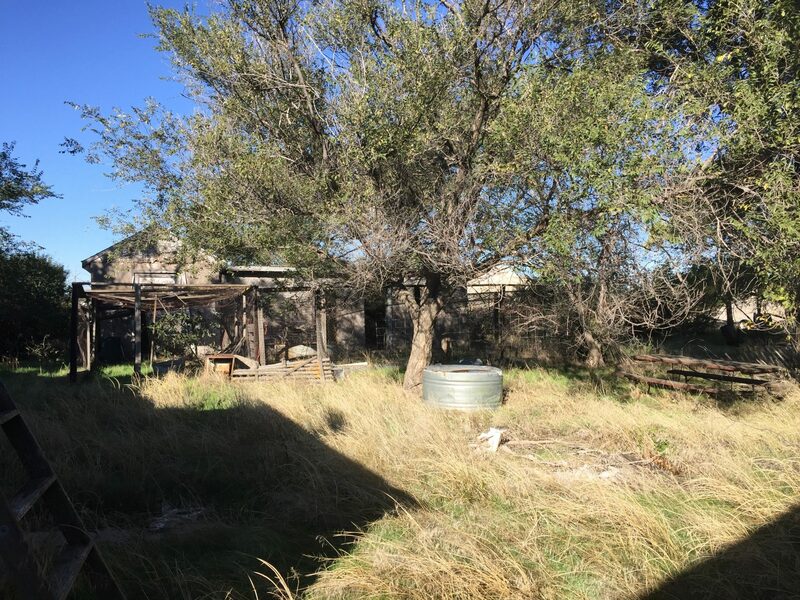 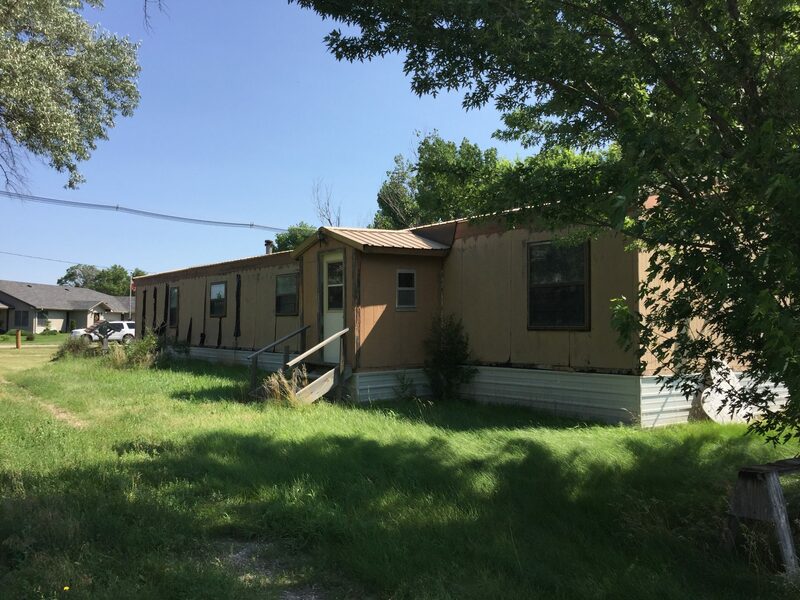 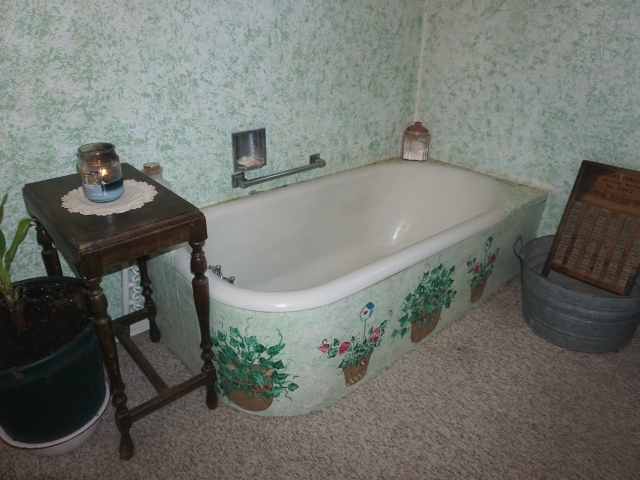 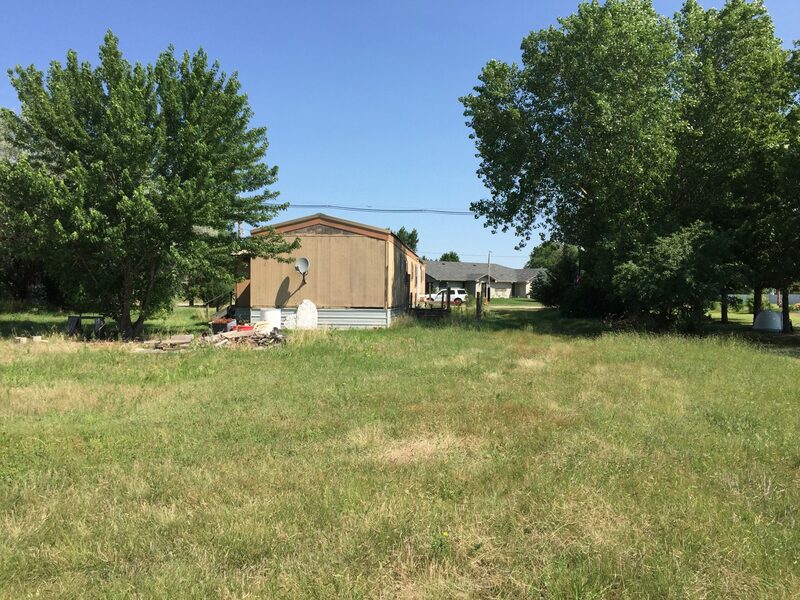 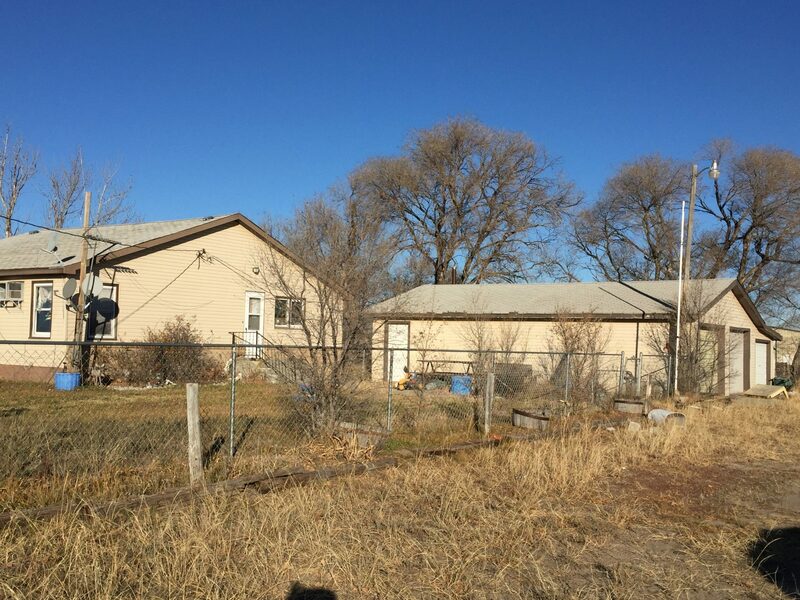 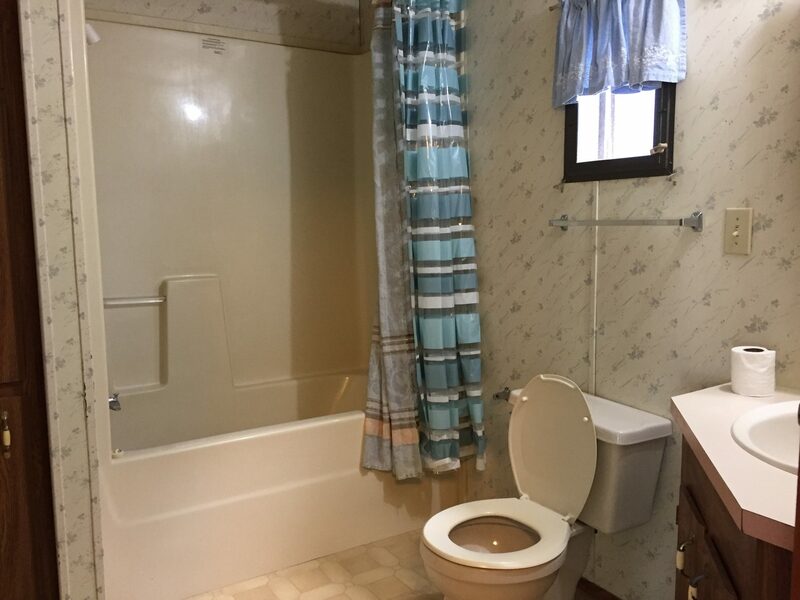 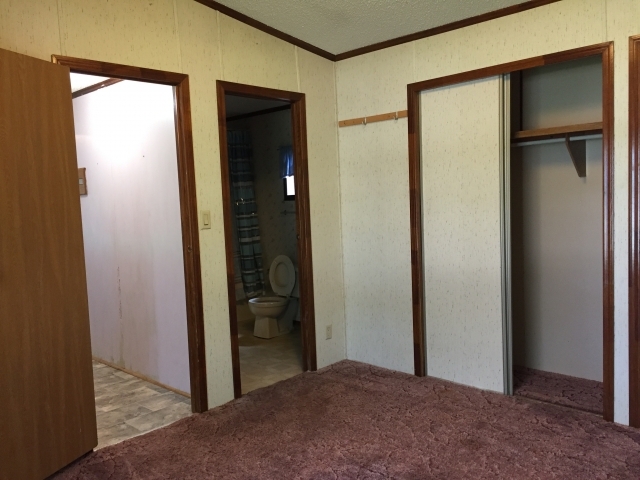 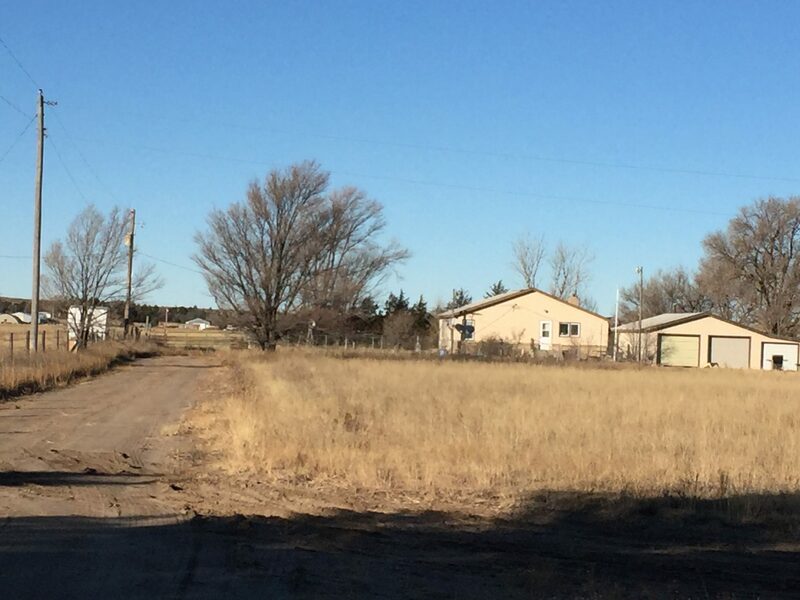 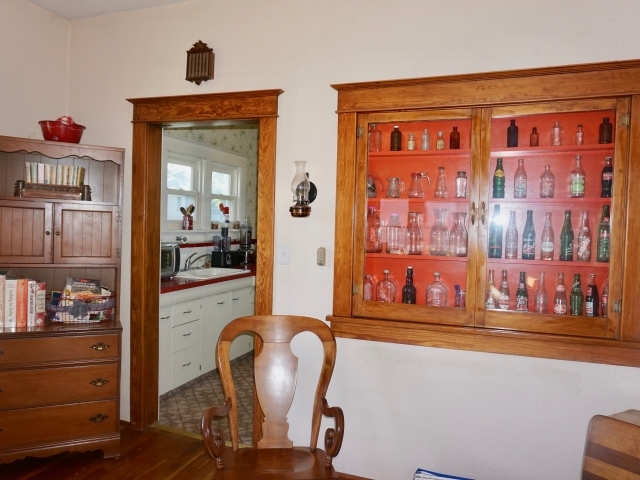 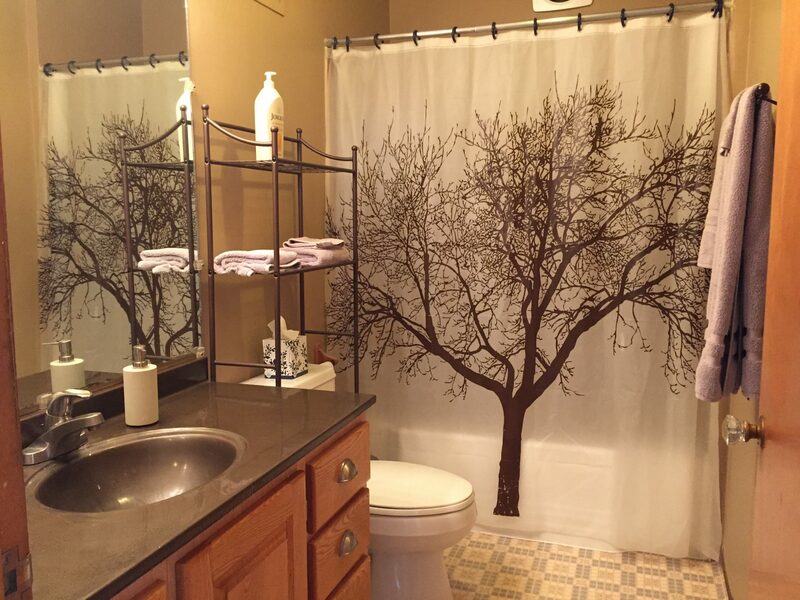 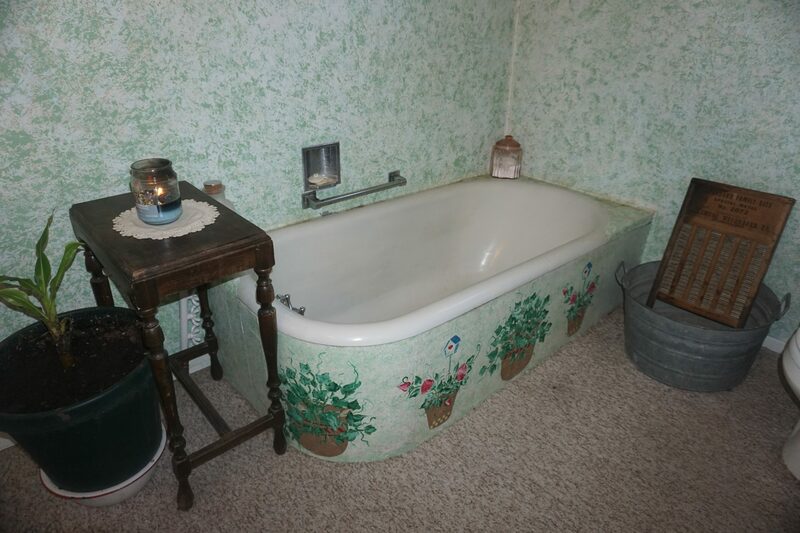 See what this property has to offer near Valentine. 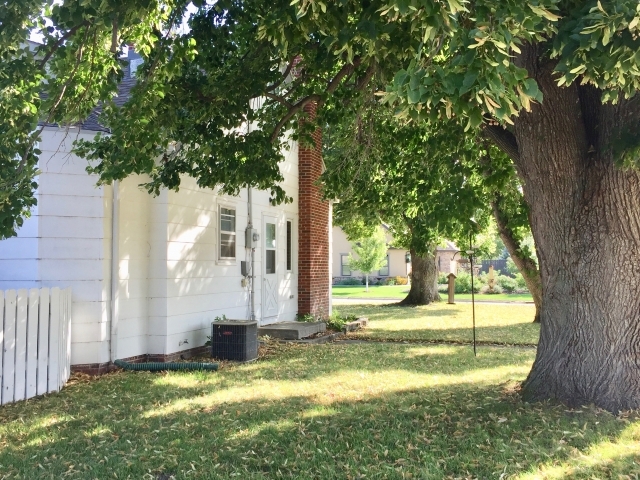 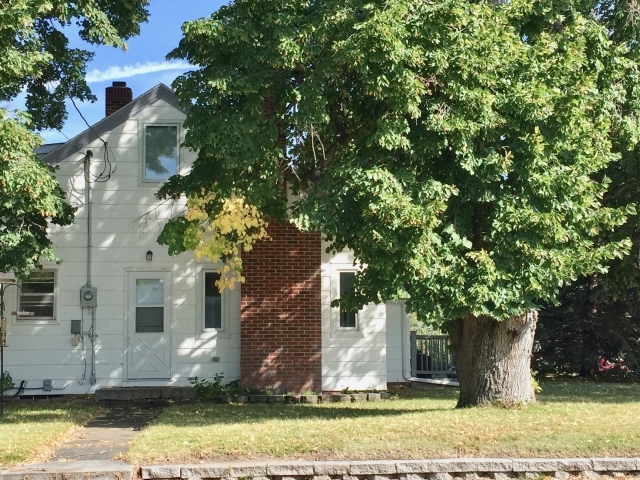 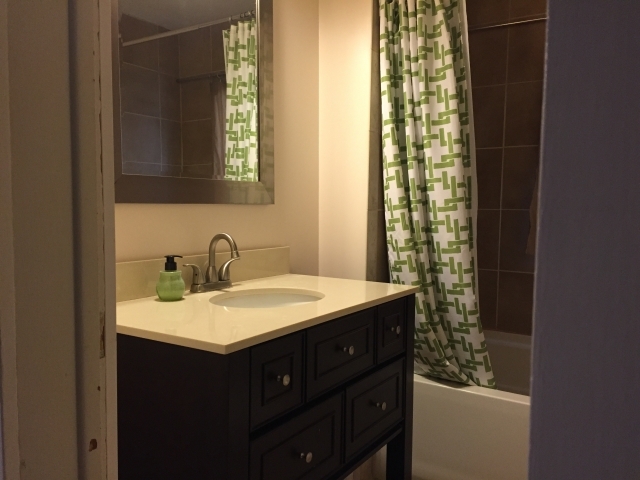 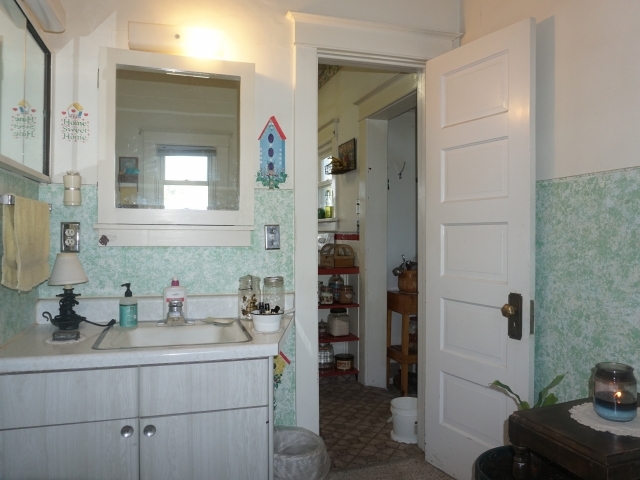 Move-in ready 2 bedroom, 1 bathroom charming home located in Cody! 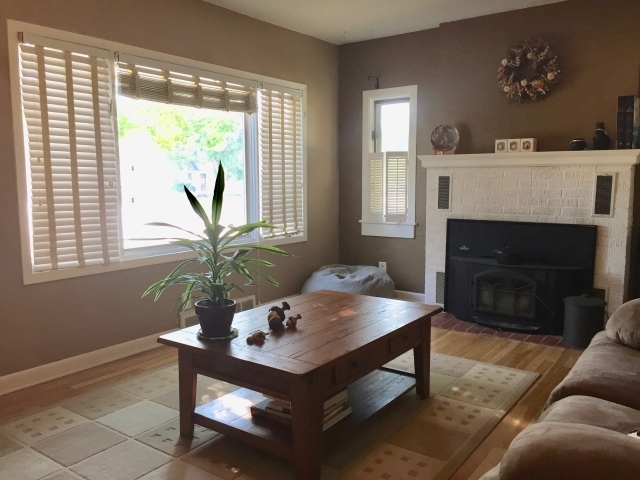 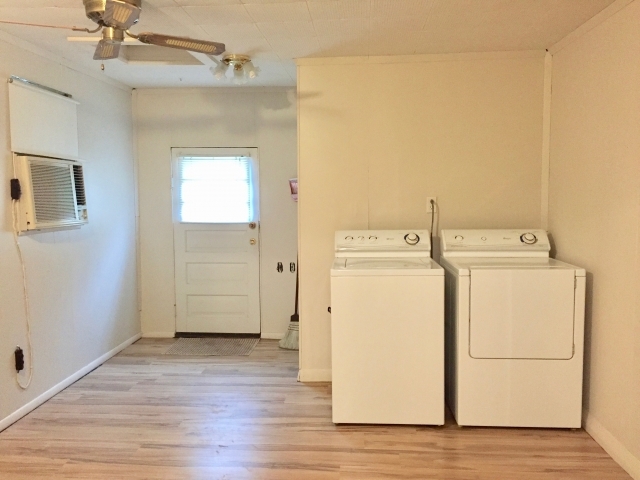 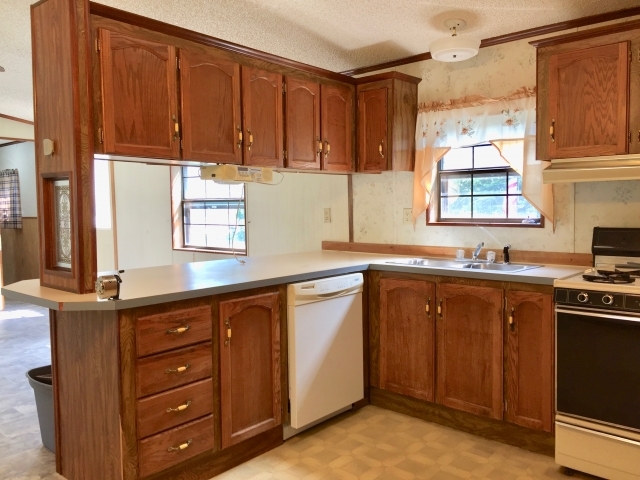 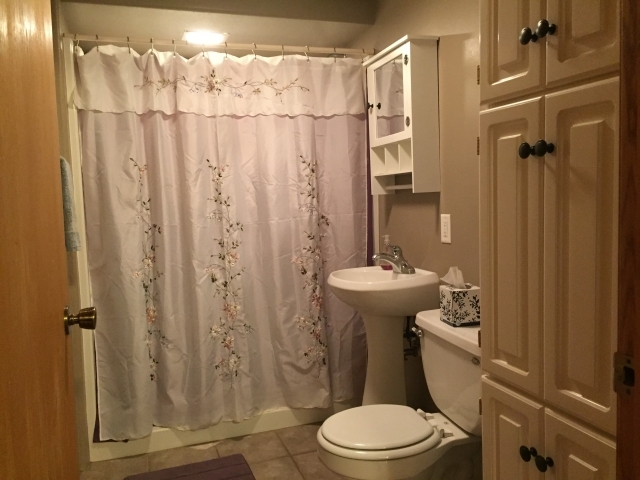 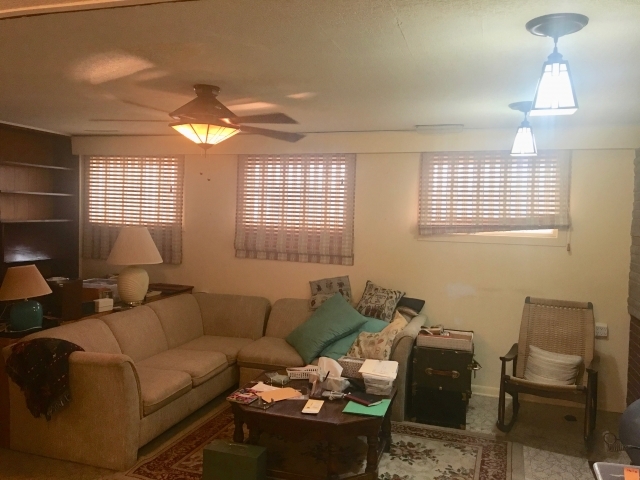 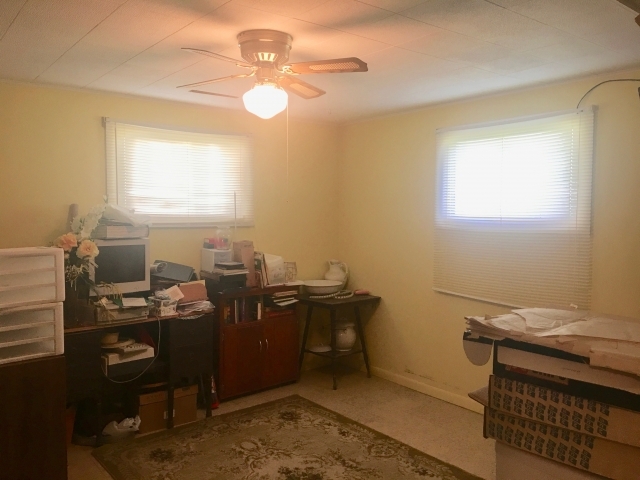 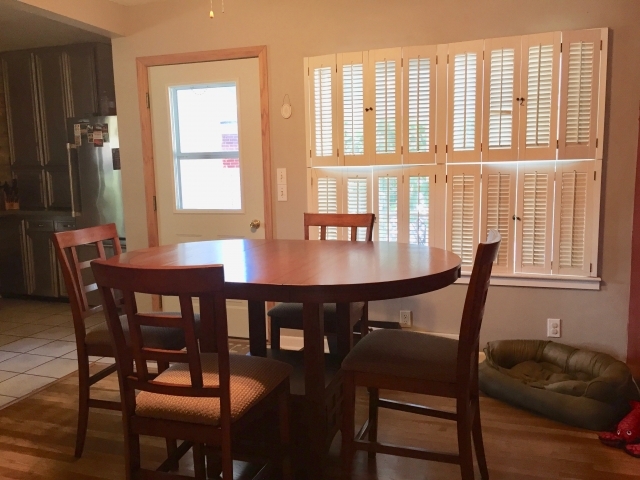 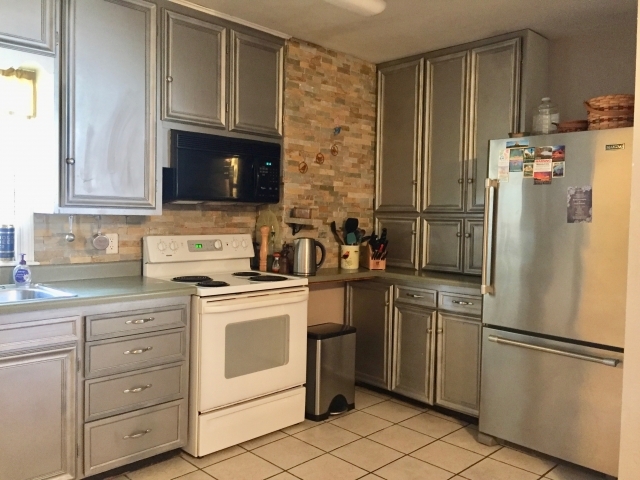 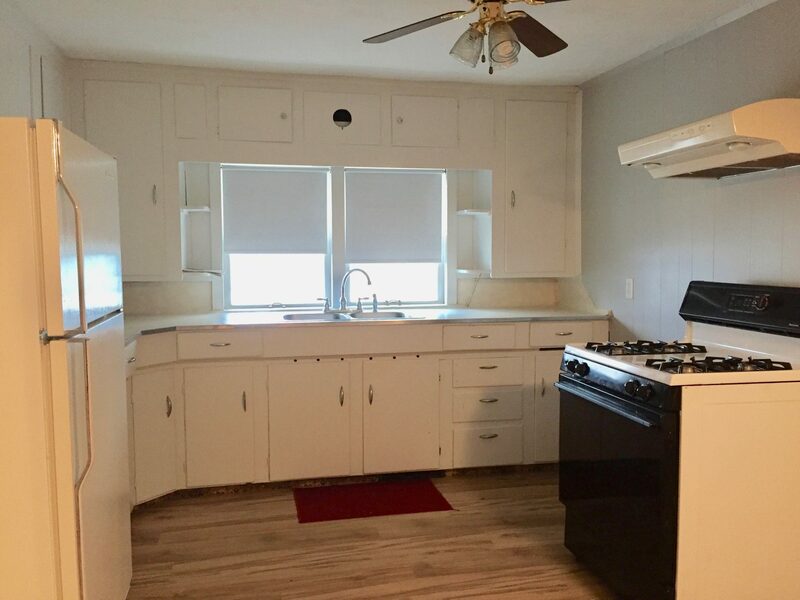 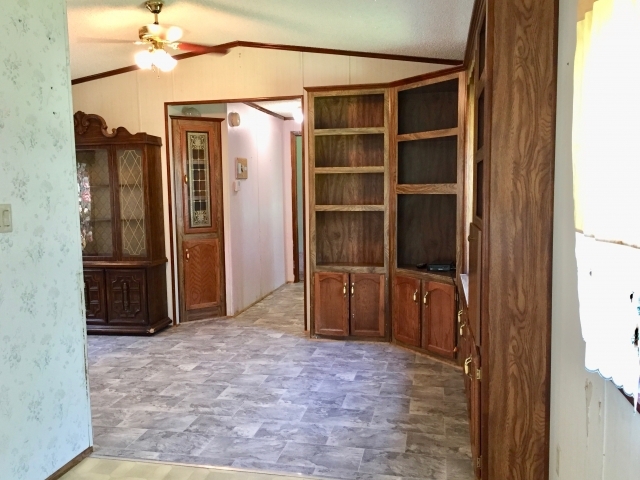 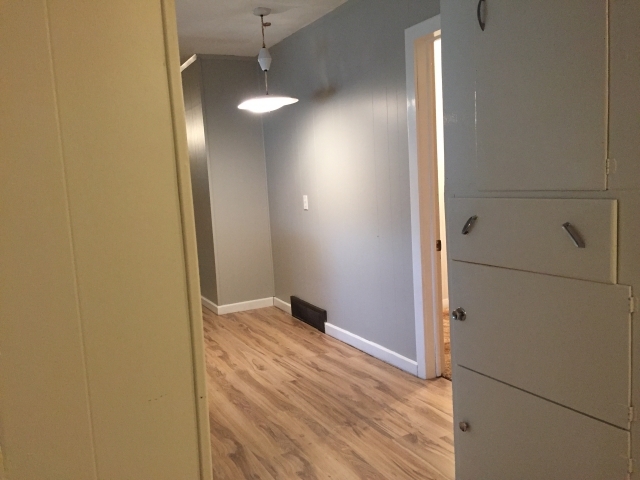 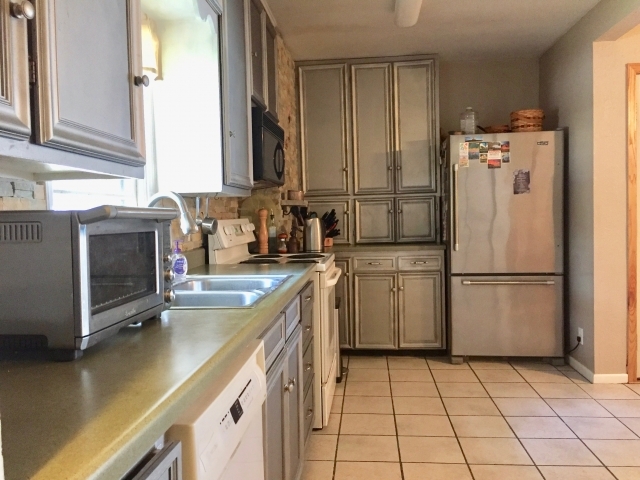 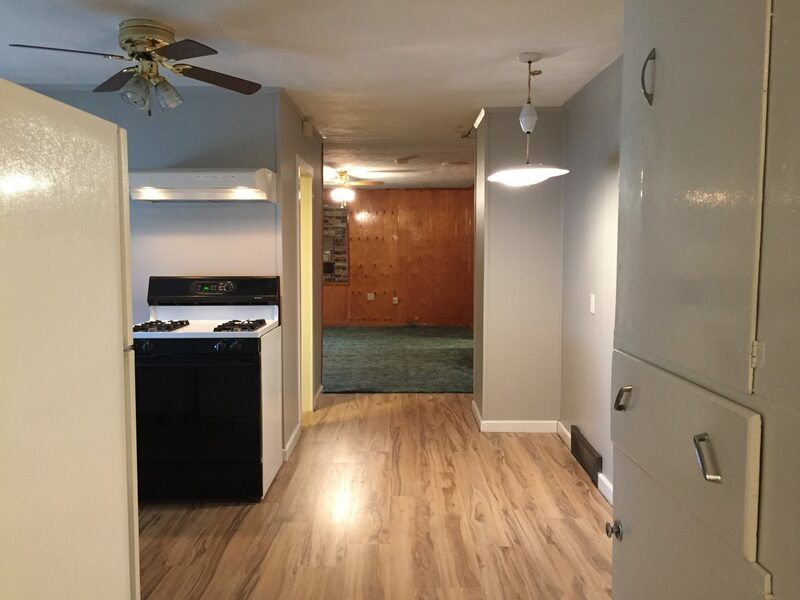 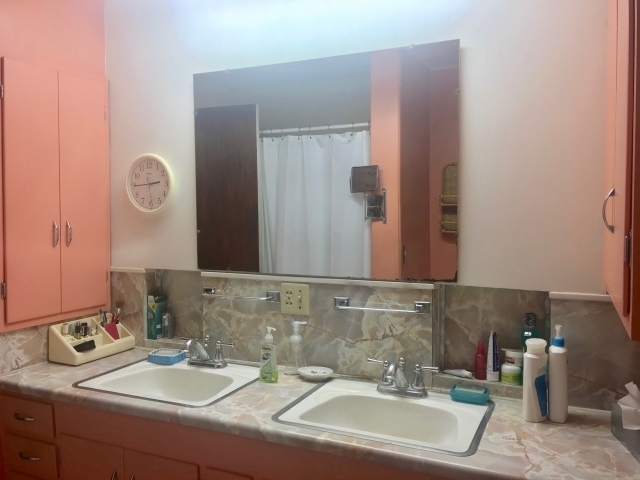 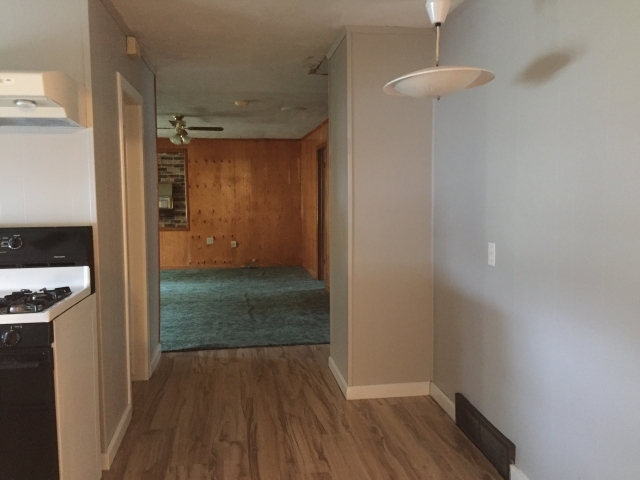 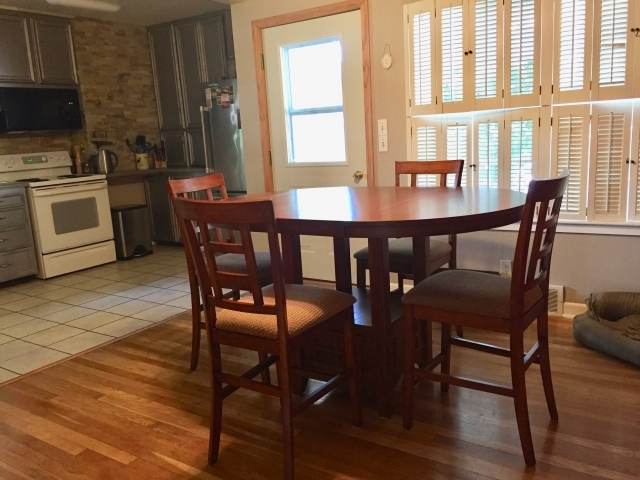 Completely updated interior with neutral flooring and paint, kitchen with appliances, bathroom including washer/dryer, spacious living area, and enclosed front porch. 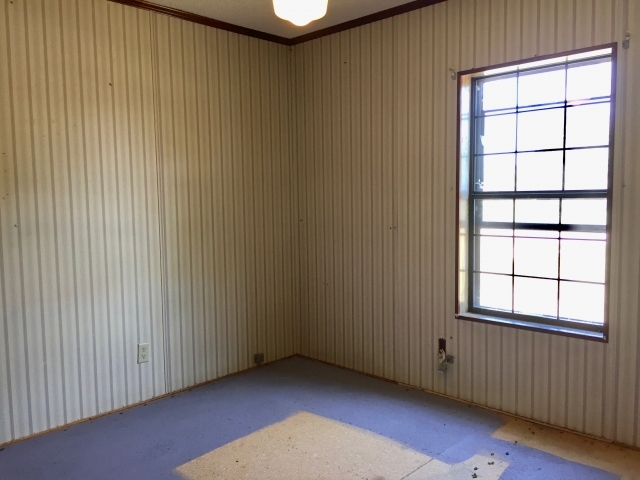 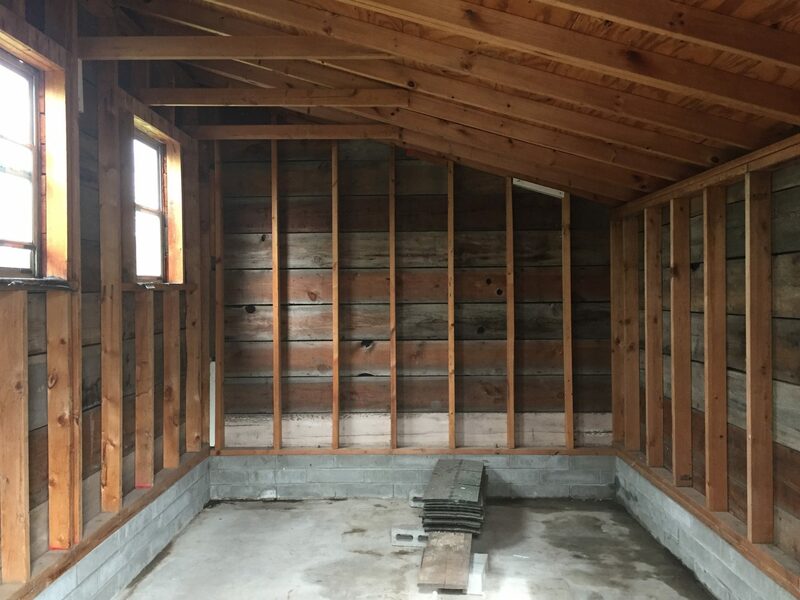 One bedroom is rustic with barn wood walls and the other is perfect sized for a guest room or possible office. 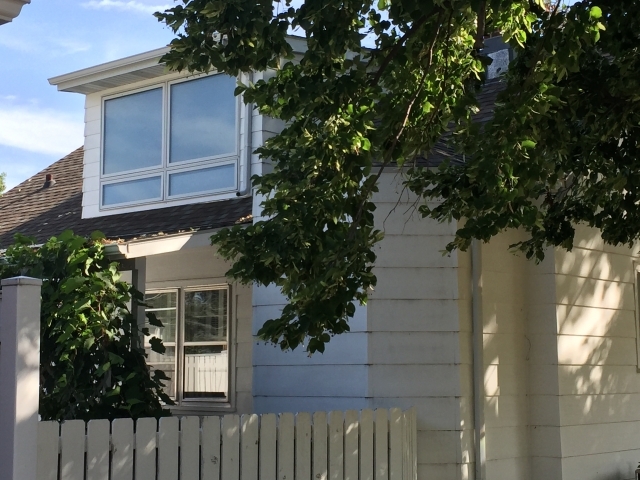 The exterior is currently being updated with replacing damaged siding and the porch roof. 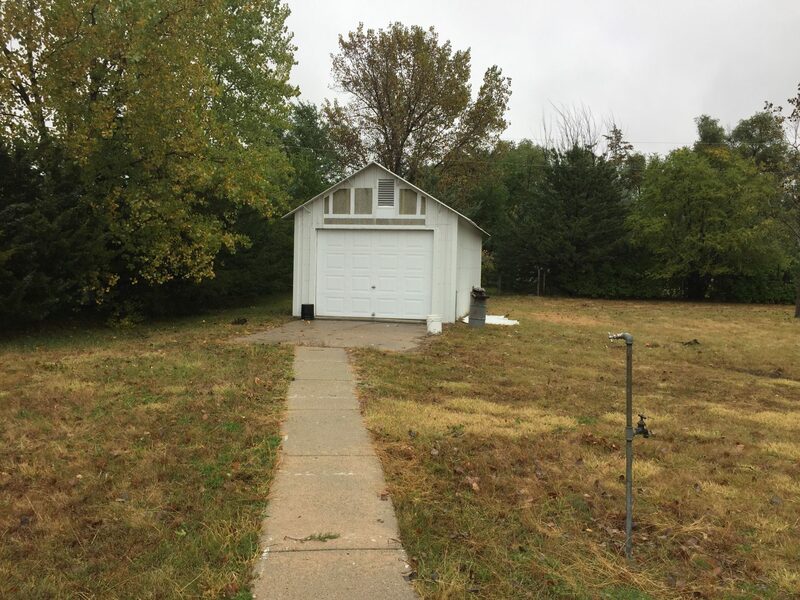 There is a sizeable yard with a storage shed in the backyard. 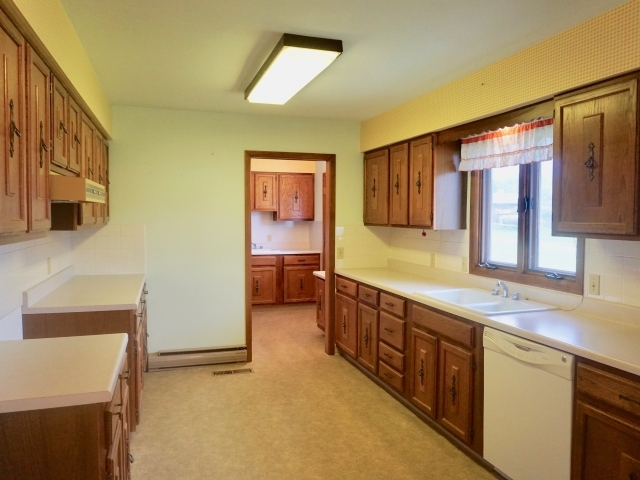 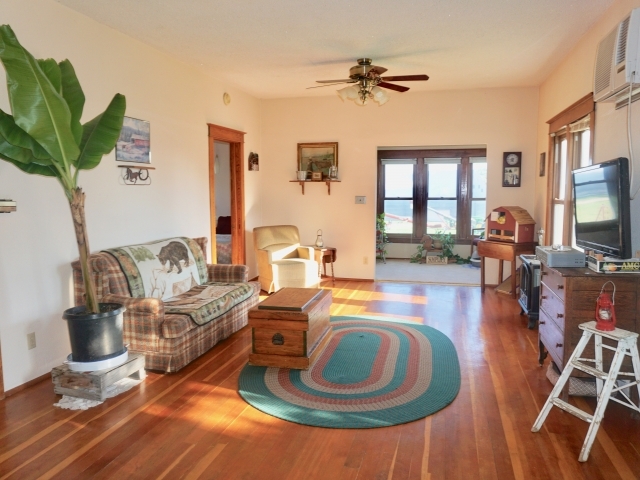 This cozy home is perfect for down-sizing, rental income, or even a starter home. 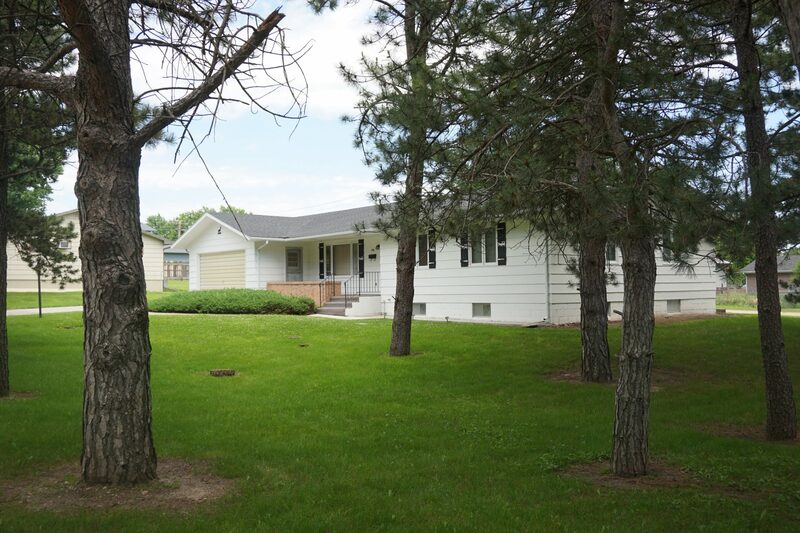 Take a look at this well built one-owner home with all the amenities on one level! 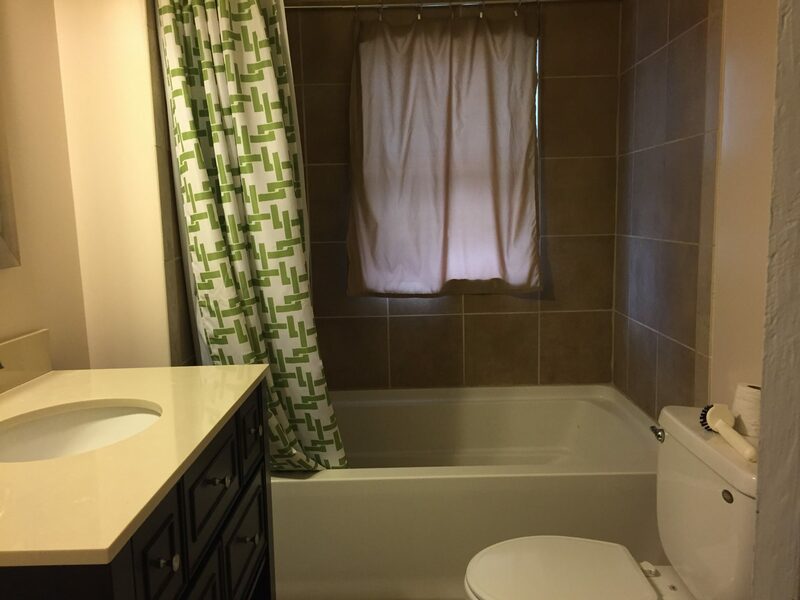 Includes 3,062sqft with option to separate into two units with apartment style basement. 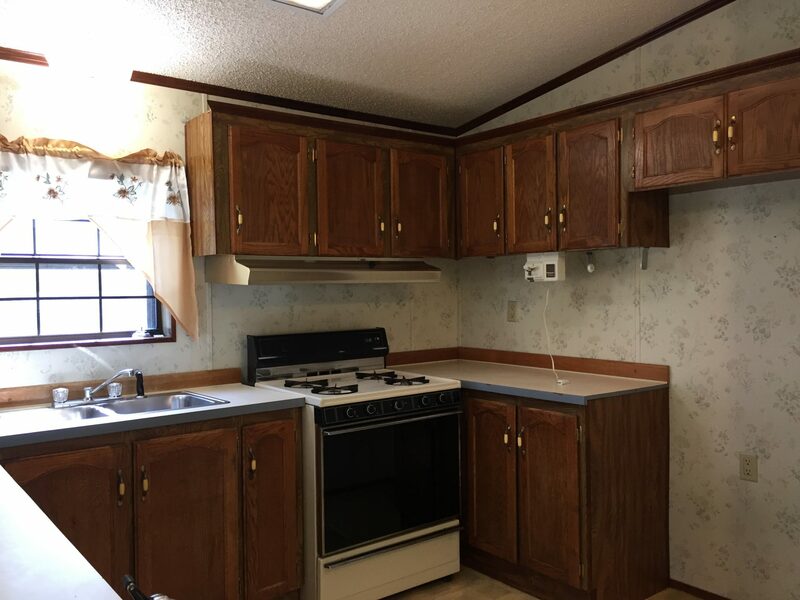 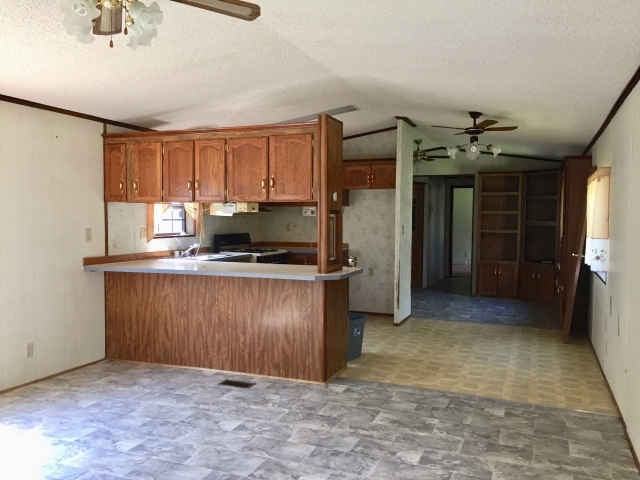 This ranch style features an open living/dining area, updated kitchen, laundry/mudroom, office, 2 bedrooms, and 1 1/2 bathrooms. 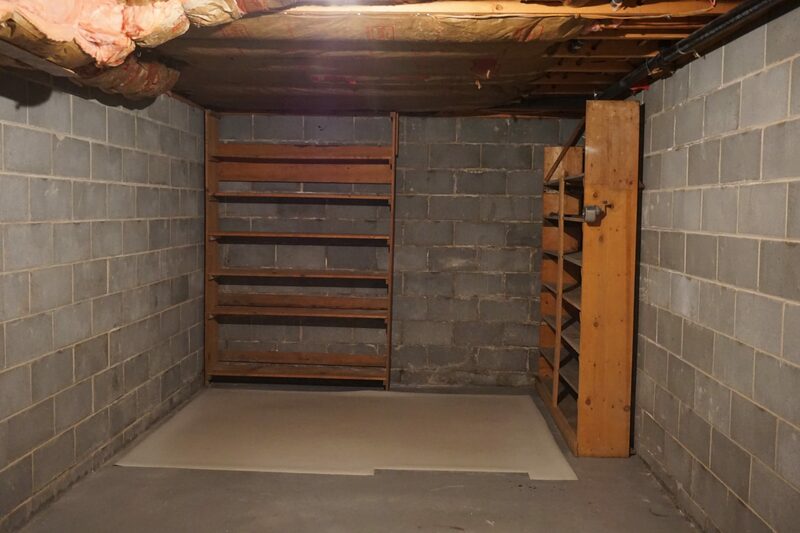 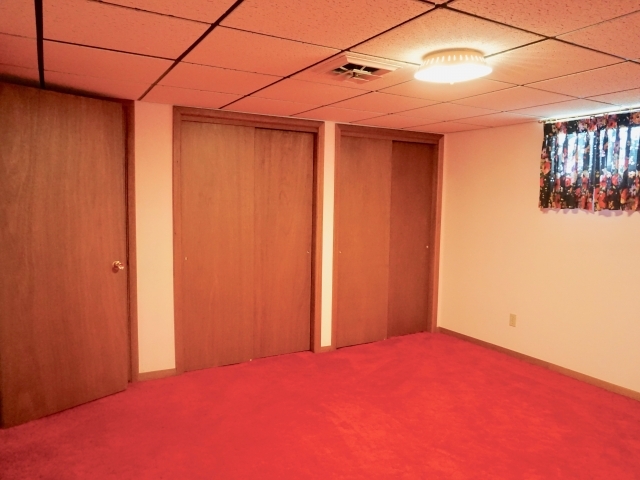 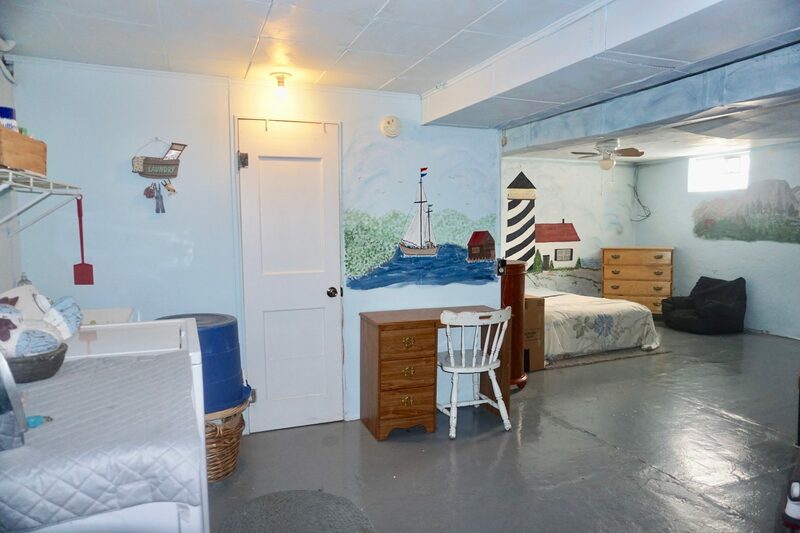 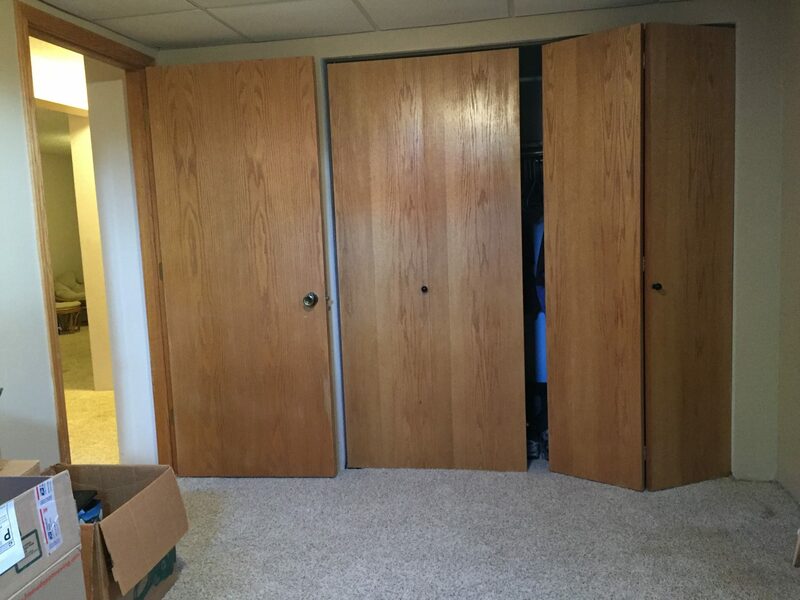 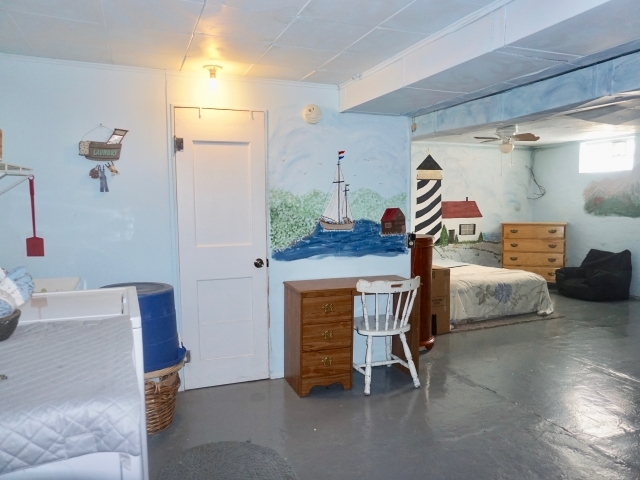 The full basement includes a large living area, kitchen, non-conforming bedroom, bathroom, and two storage rooms. 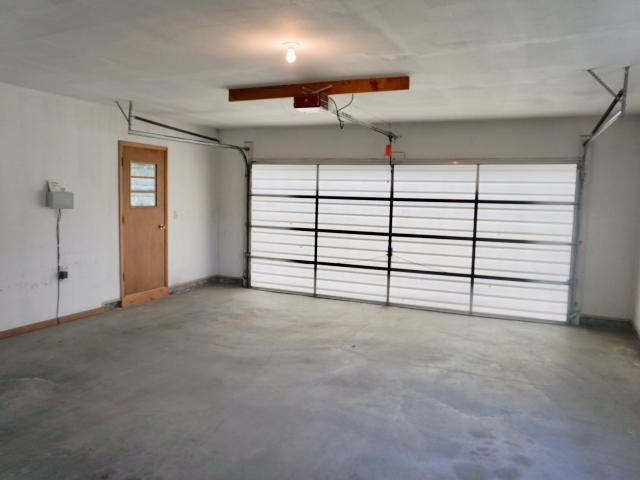 There is an attached garage for convenience and a detached garage for additional storage or a second garage for a tenant. 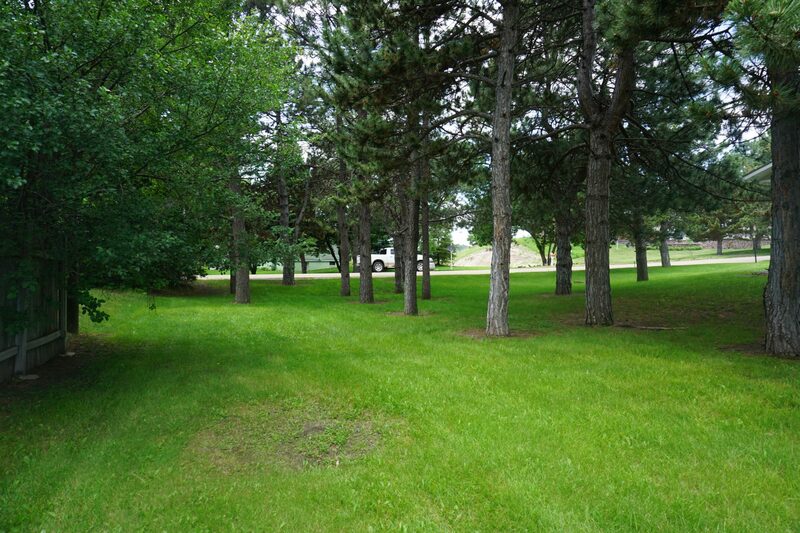 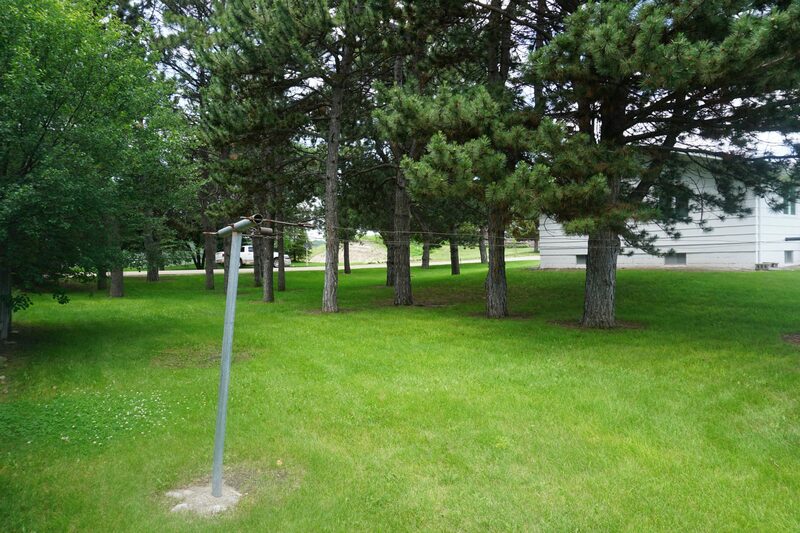 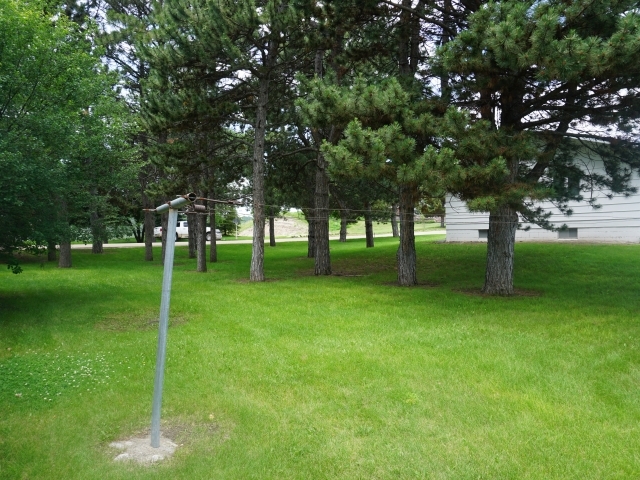 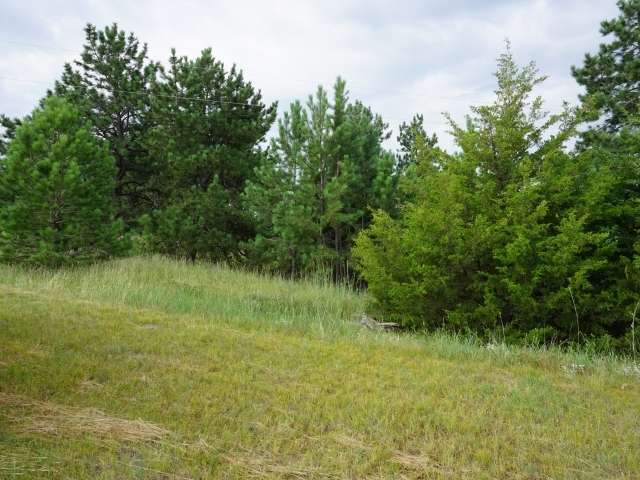 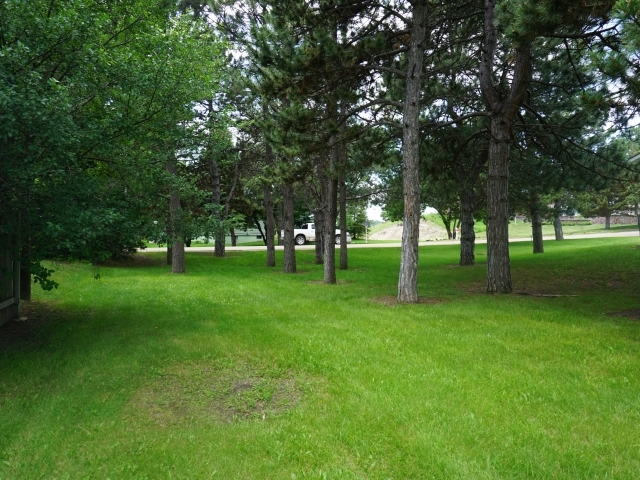 The large lot offers underground sprinklers, established shade trees, and a location on the edge of town. 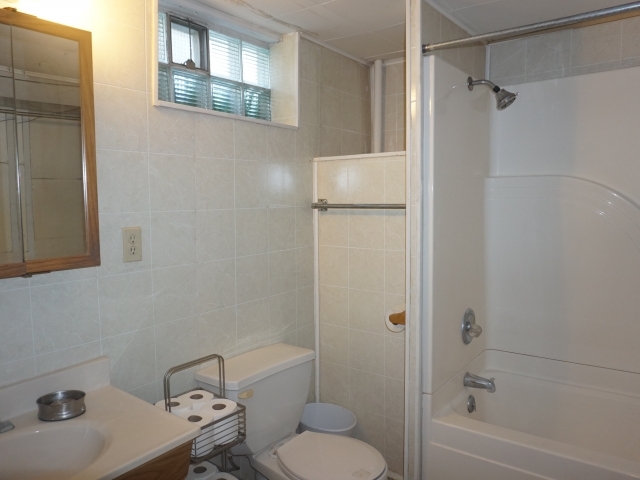 See what this property has to offer if you are looking for a sizeable home to make your own or income potential options. 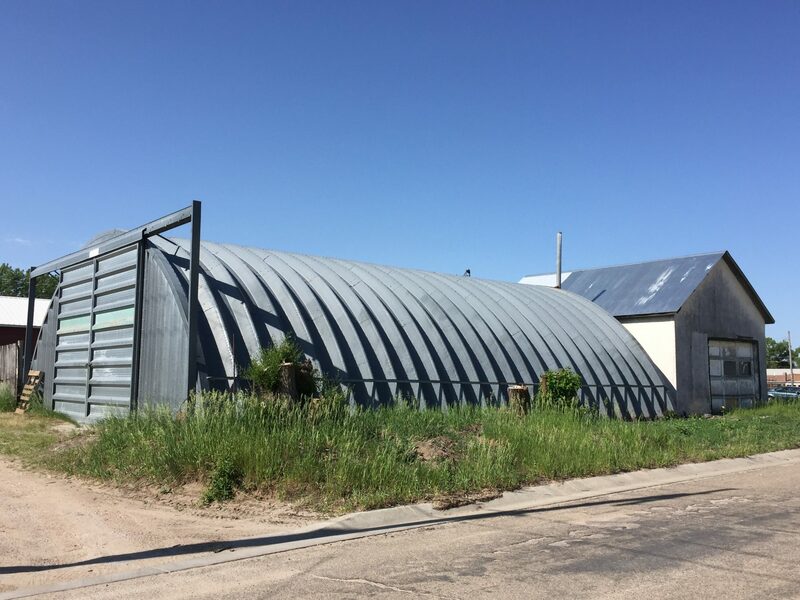 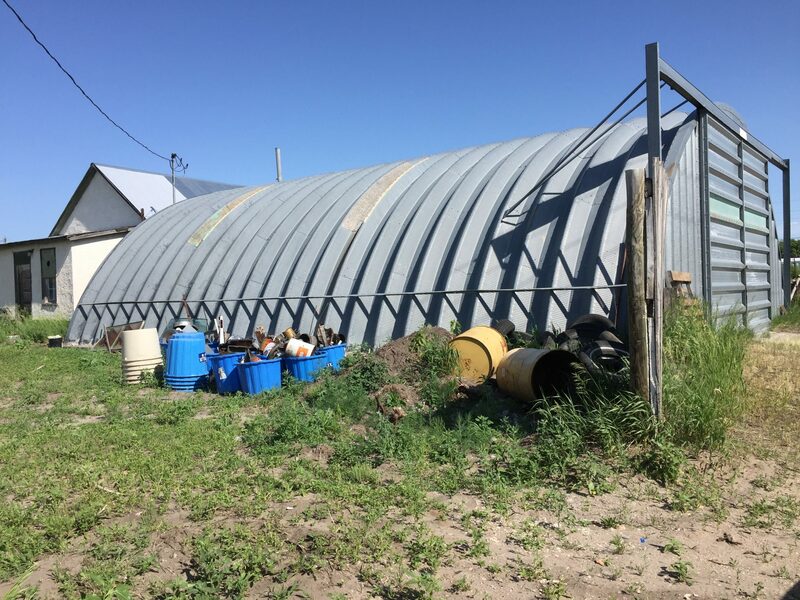 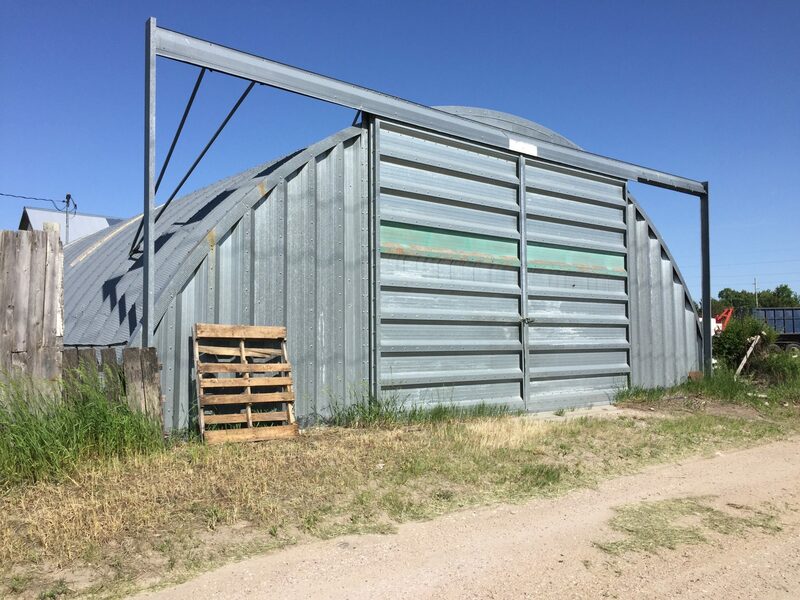 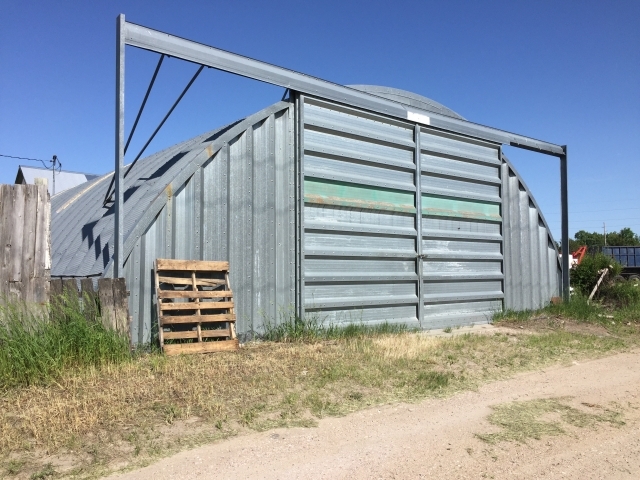 This 81’x150’ industrial lot includes a 40’x48’ Quonset with sliding doors, partial concrete floor, floor drain, and wood stove. 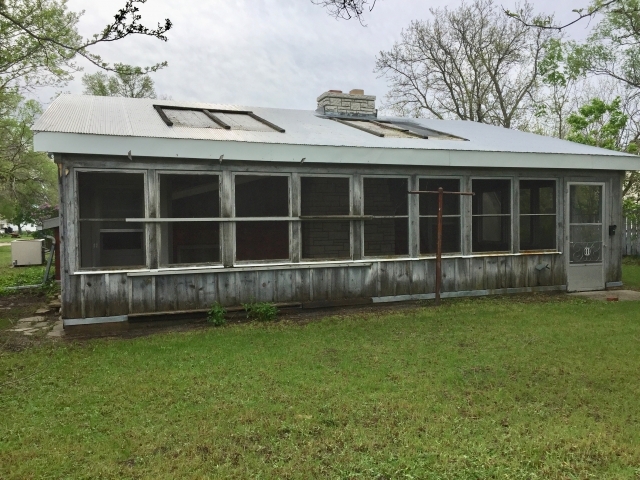 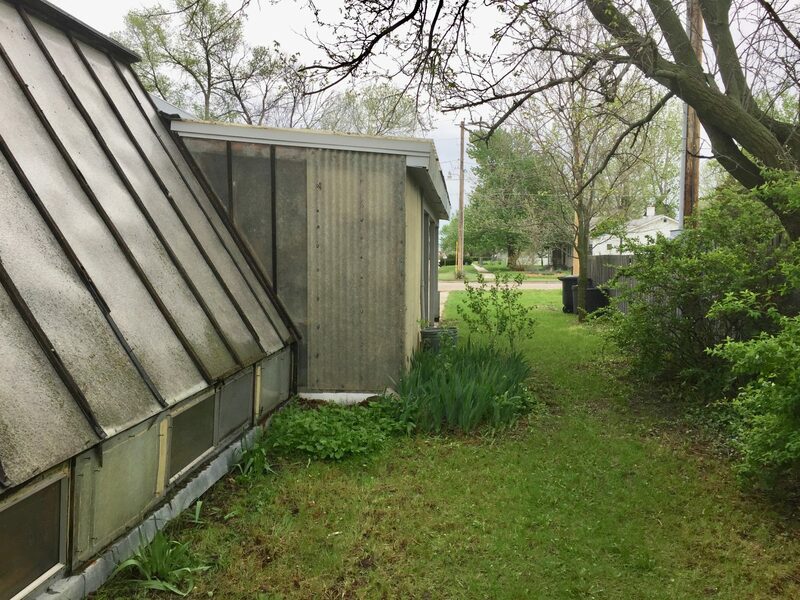 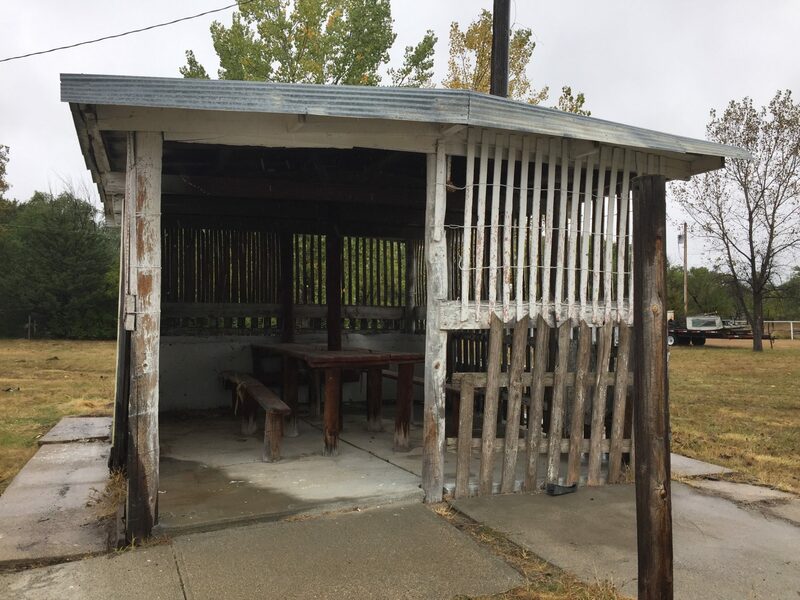 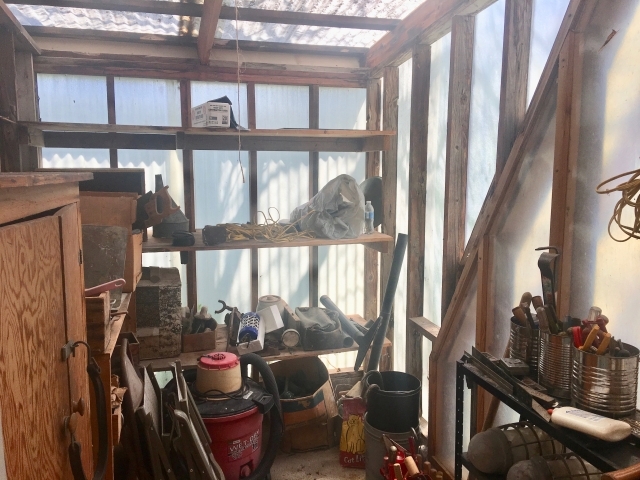 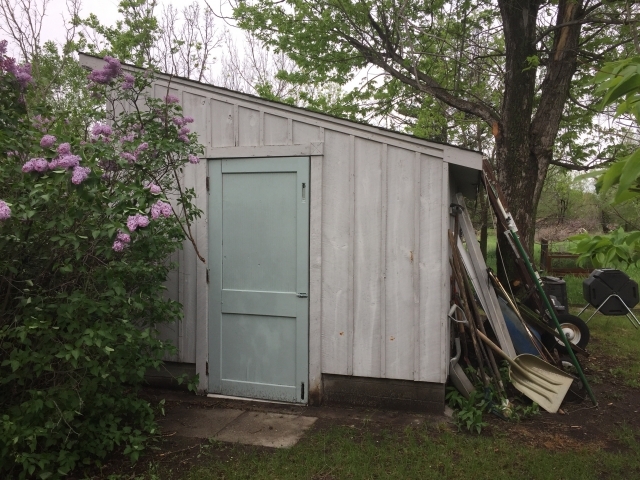 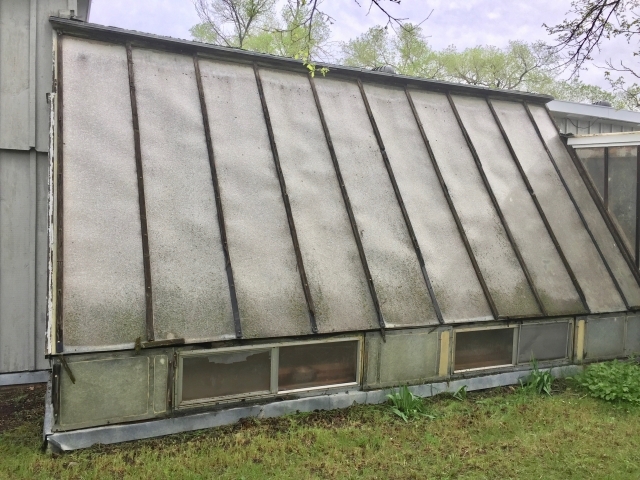 It was previously used as a repair shop, but could be utilized for business or personal use and would make a great storage shed. 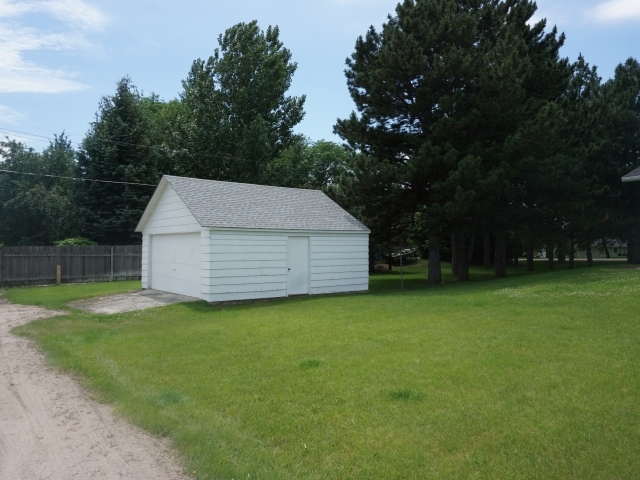 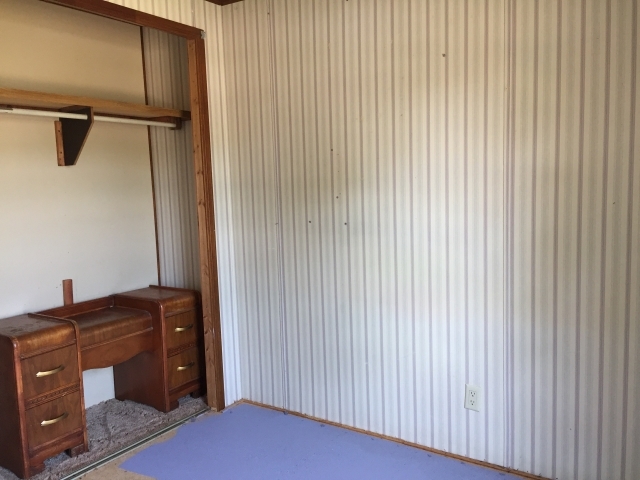 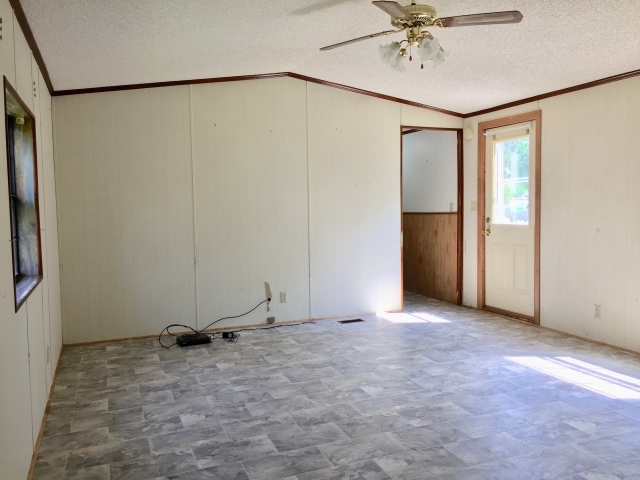 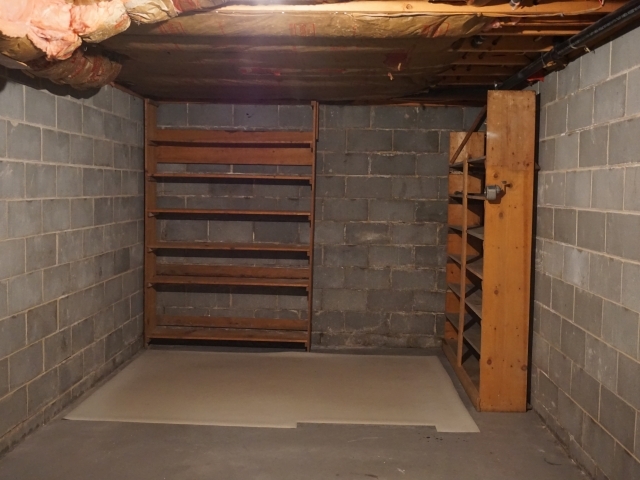 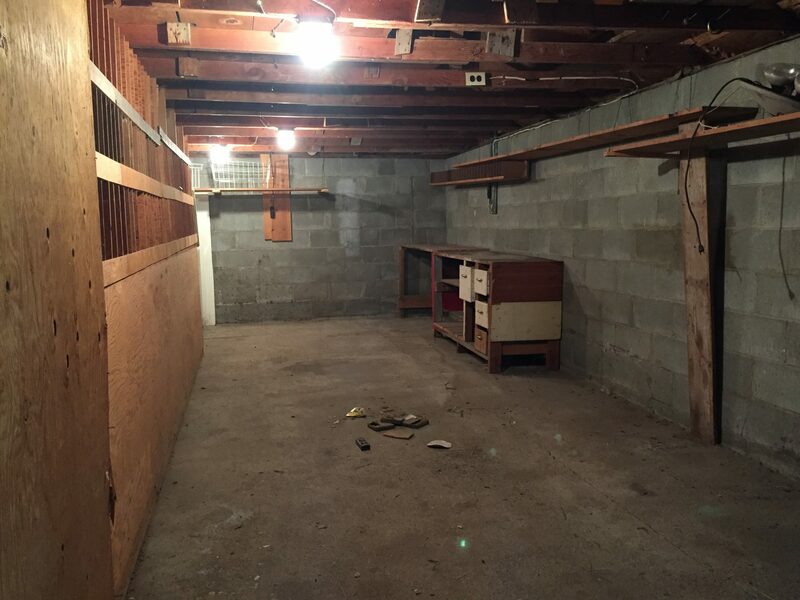 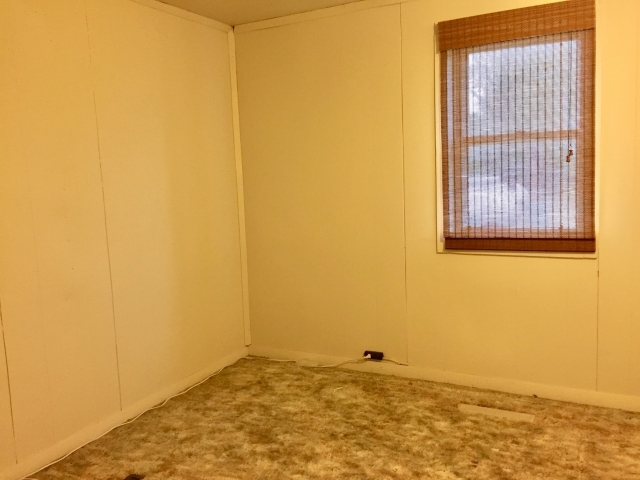 There is a 18’x34’ detached garage with concrete floor and storage loft. 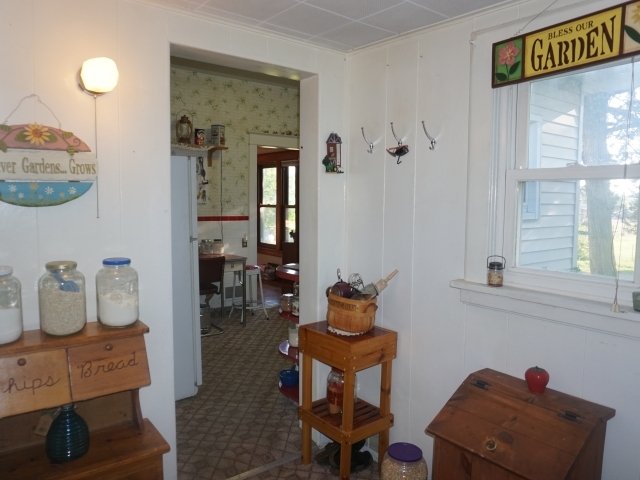 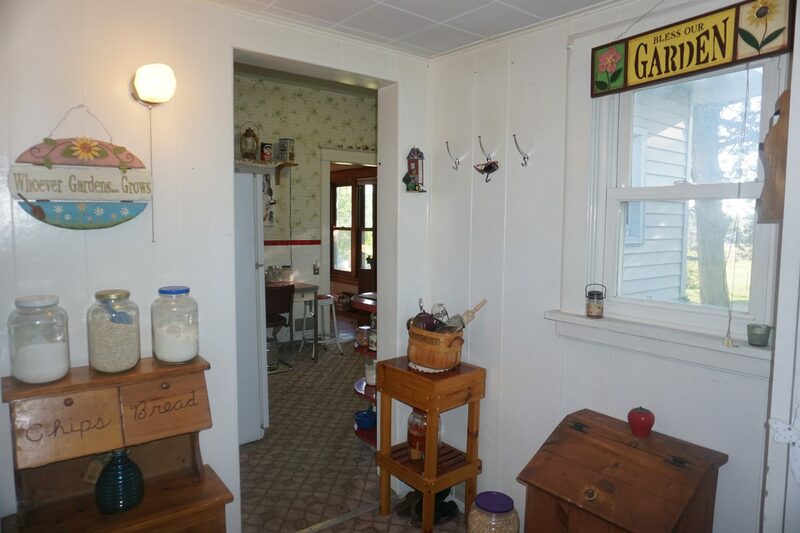 It was formerly a one-room school house and is characterized by some of the original cabinetry and wainscoting. There is a 10’x16’ utility shed and the residence was recently removed. 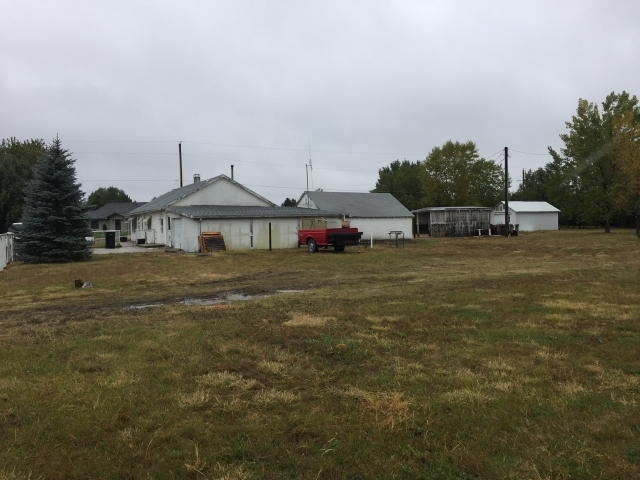 The corner lot has potential with existing buildings and electrical, sewer, and water readily available. 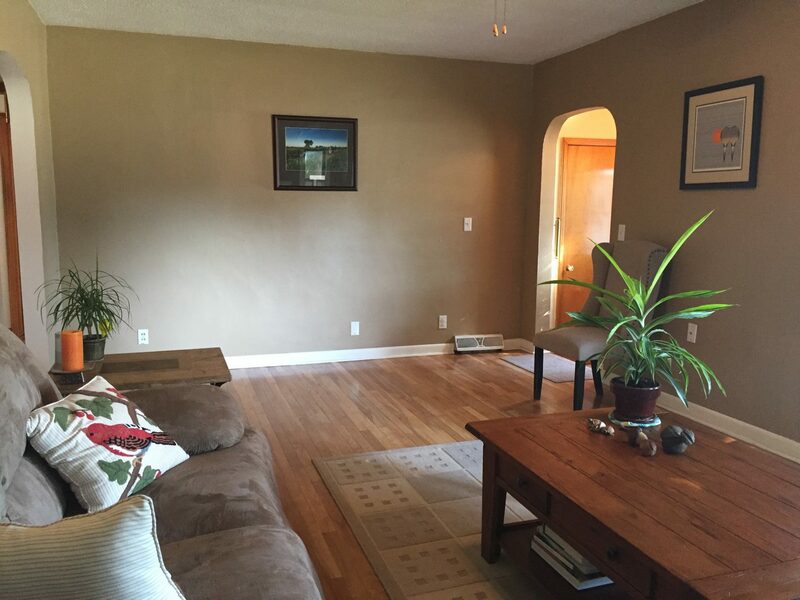 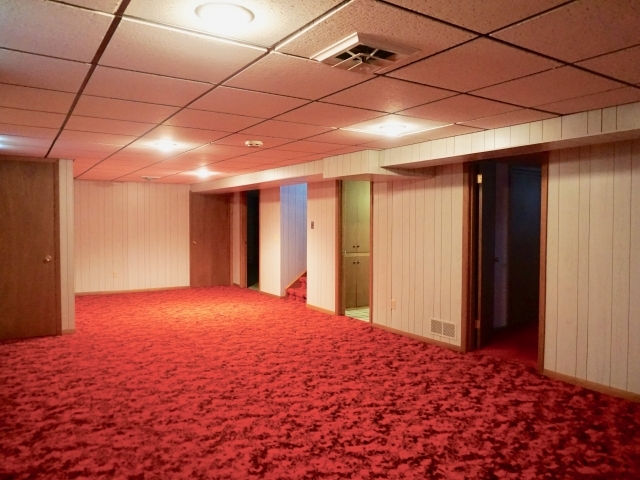 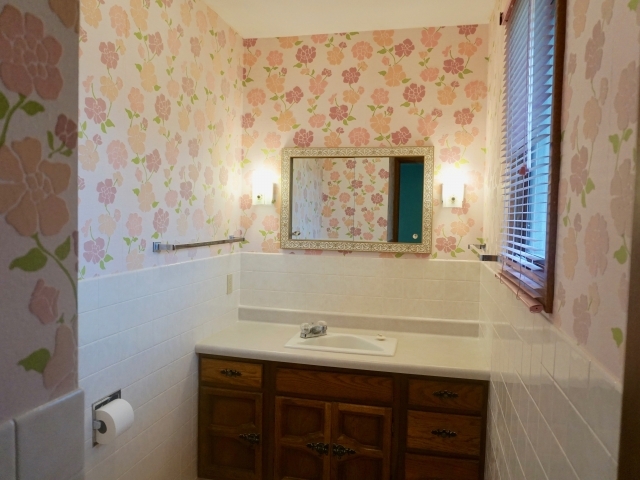 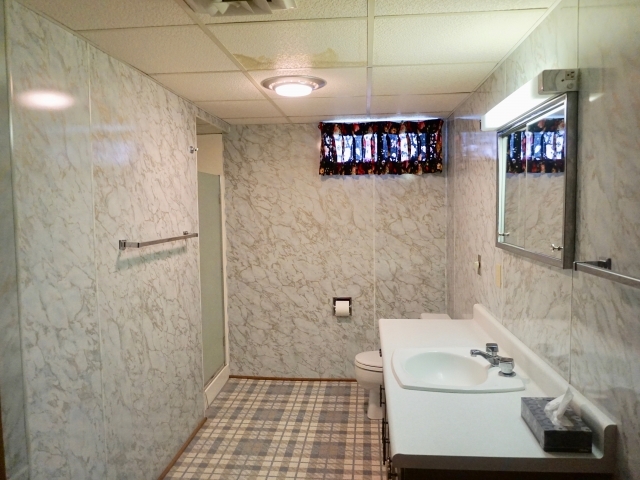 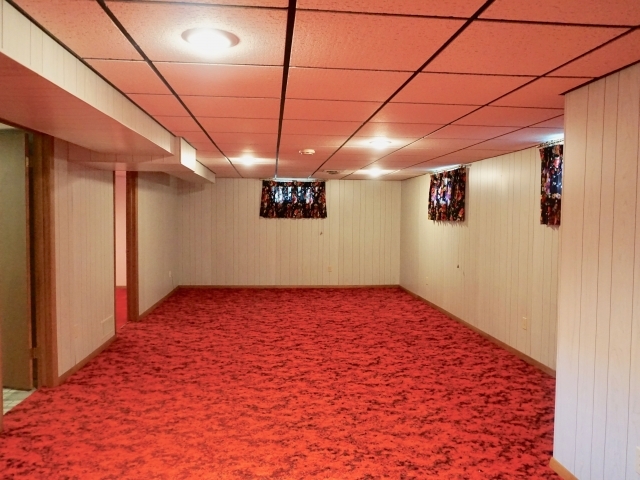 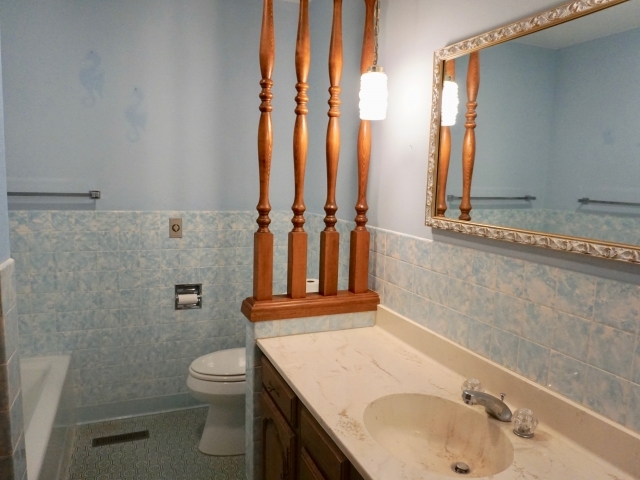 Basement home featuring 1,421sqft that offers much potential and privacy with 65'x290' lot. 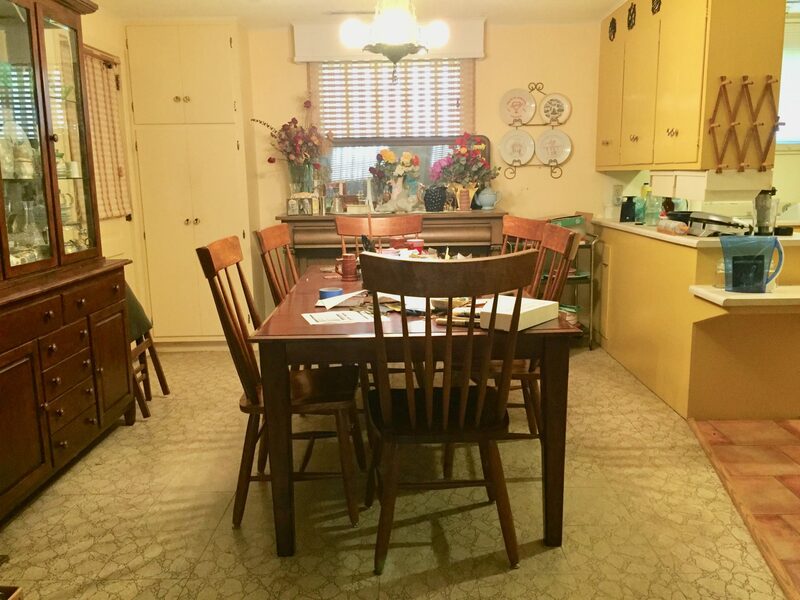 The interior includes a side entry, an open living/dining area with marble fireplace, vintage yellow kitchen, 2 bedrooms, 1 bathroom with double vanity, and laundry room. 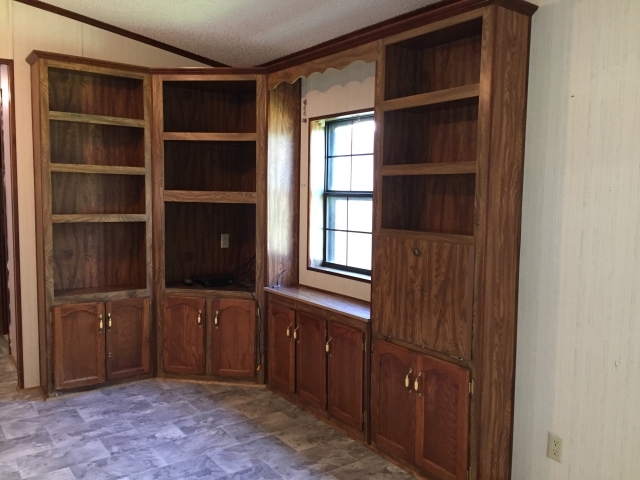 Storage is abundant with built-ins, cabinets, closets, sewing cupboard, and even a hidden compartment. 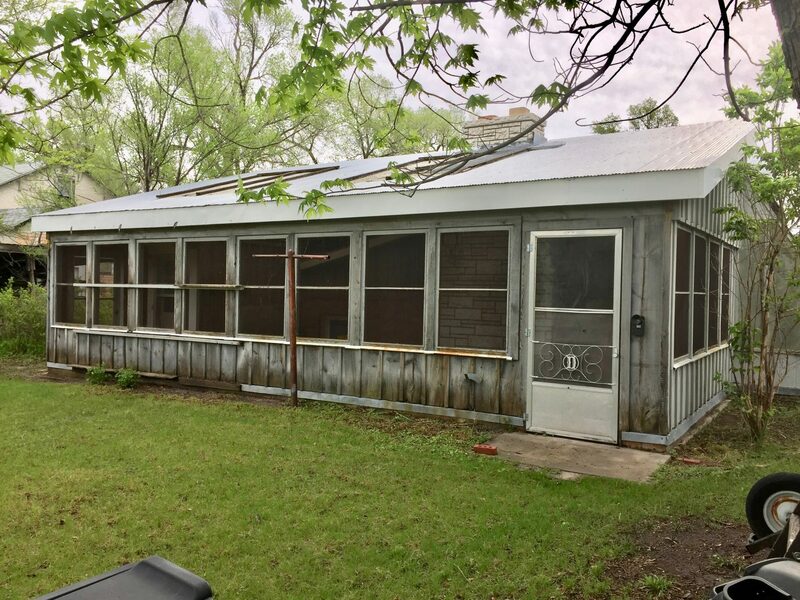 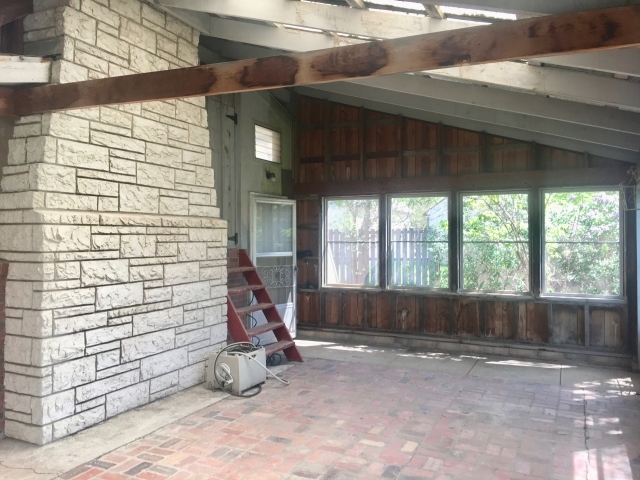 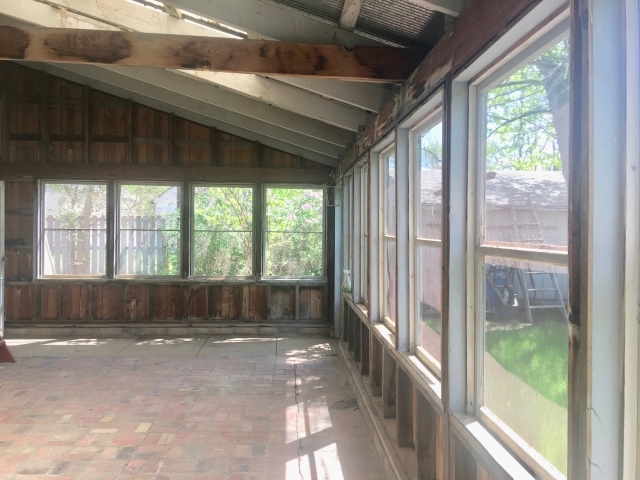 Outdoors the attached screen porch would be perfect for entertaining or relaxation and the carport, greenhouse, and storage area complete the home. 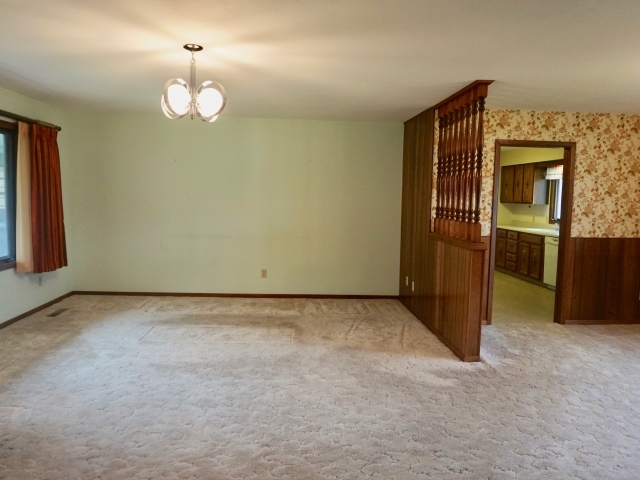 Many possibilities here with the option to add a main level and with an oversized lot.